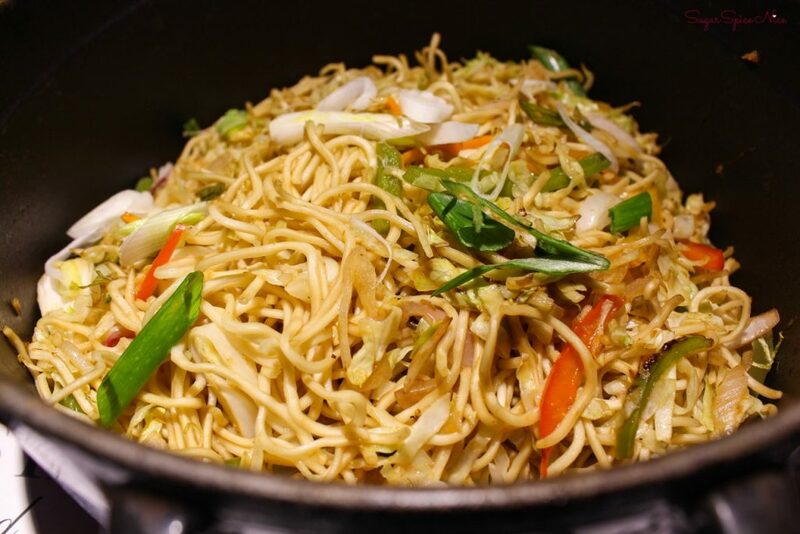 One of my favorite cuisine is Chinese and so I thought of compiling the best Chinese Restaurants in Mumbai. 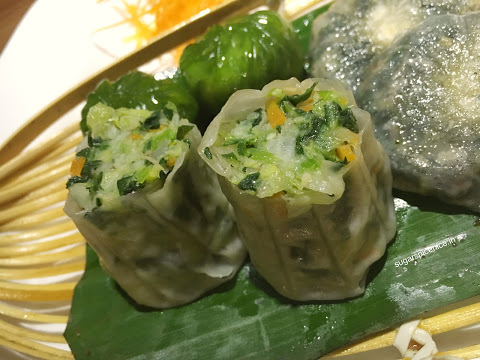 Watch this video about some of my most loved Chinese Restaurants in Mumbai. 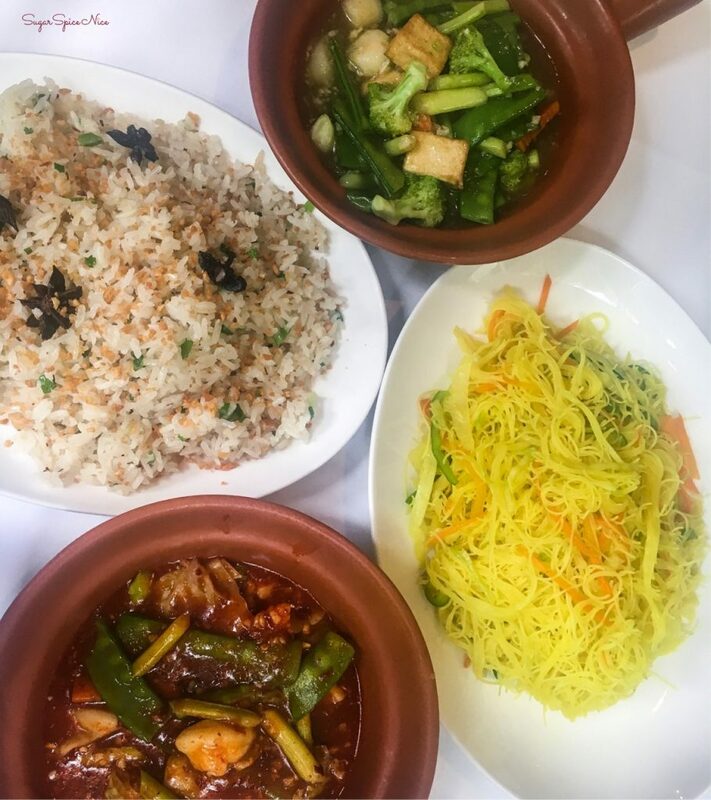 Chinese food is available in plenty in Mumbai. 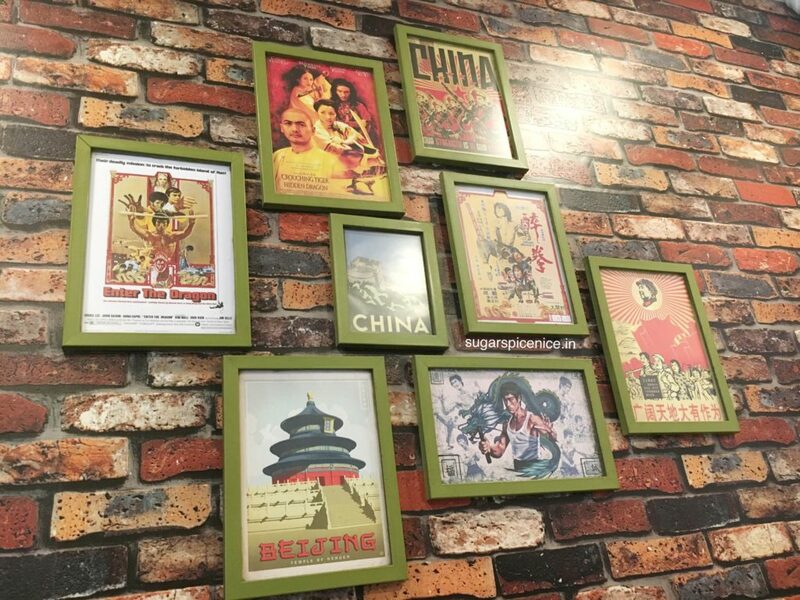 Right from budget friendly eateries, to fine dining joints, Chinese and Asian cuisine is indeed loved by a lot of people, including me. 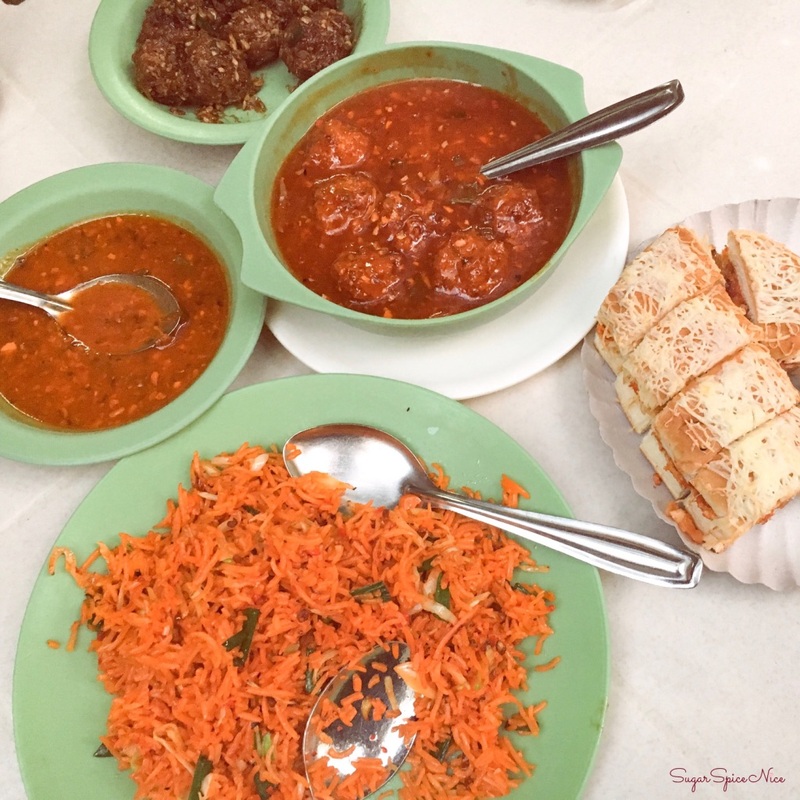 So here’s a little more about these places that do justice to the cuisine in Mumbai. 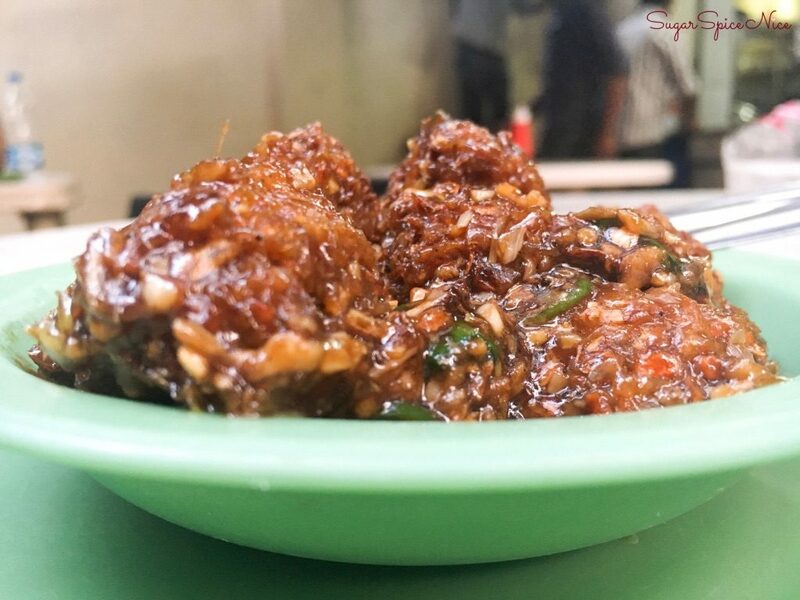 One of the oldest and one of my most loved eateries in the city, China Garden is the place you need to go to try Indianized Chinese food. 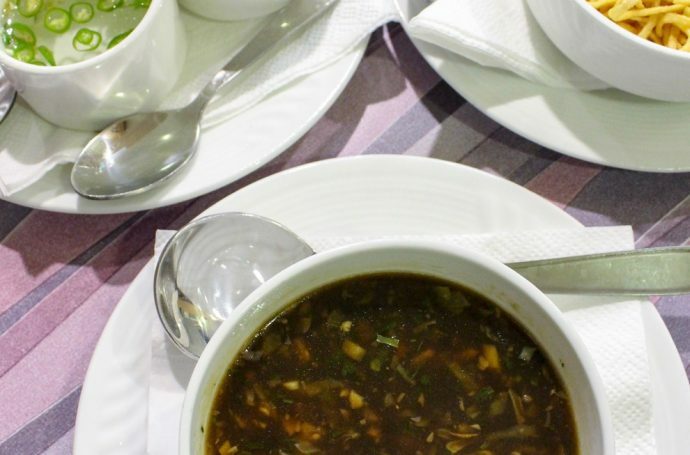 Their manchurian, schezwan gravy and spring rolls will definitely keep you coming back for more. Another legendary restaurant in Mumbai, Ling’s Pavillion is popular, especially among tourists for their Chinese fare. 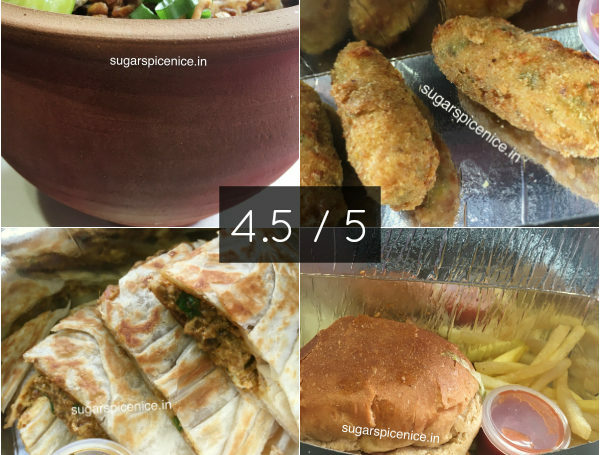 If ever in Colaba, you should try out this place. 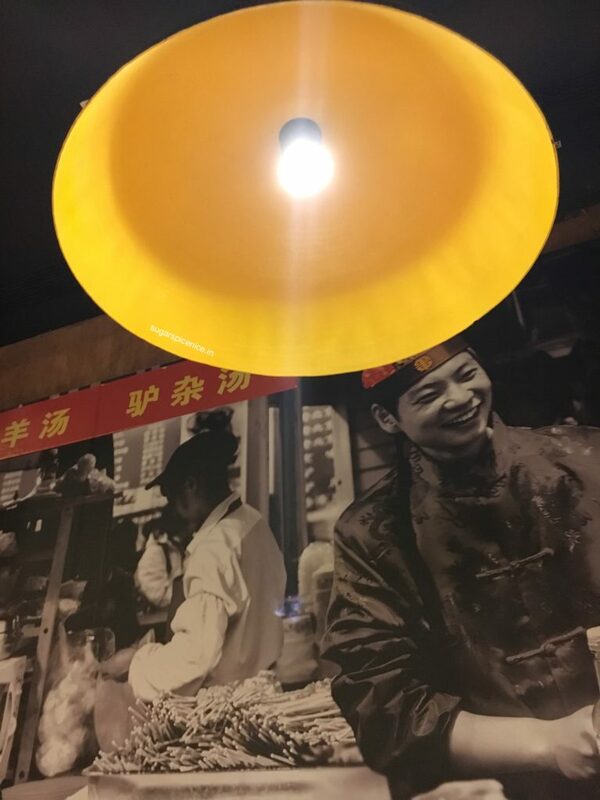 And definitely try out their honey noodles with ice-cream. It’s one of the best. 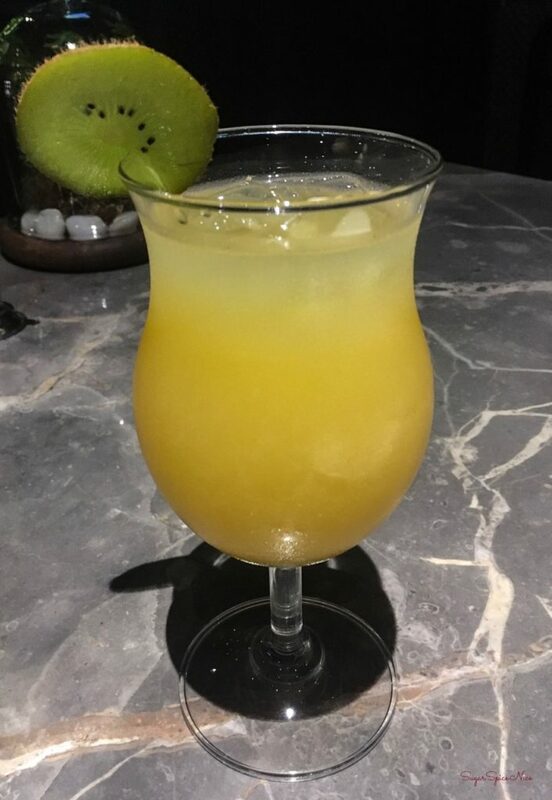 Owned by the famous Tham brothers, Koko is an Asian gastropub in Lower Parel, Mumbai. I love their food – it’s good quality and even better taste. 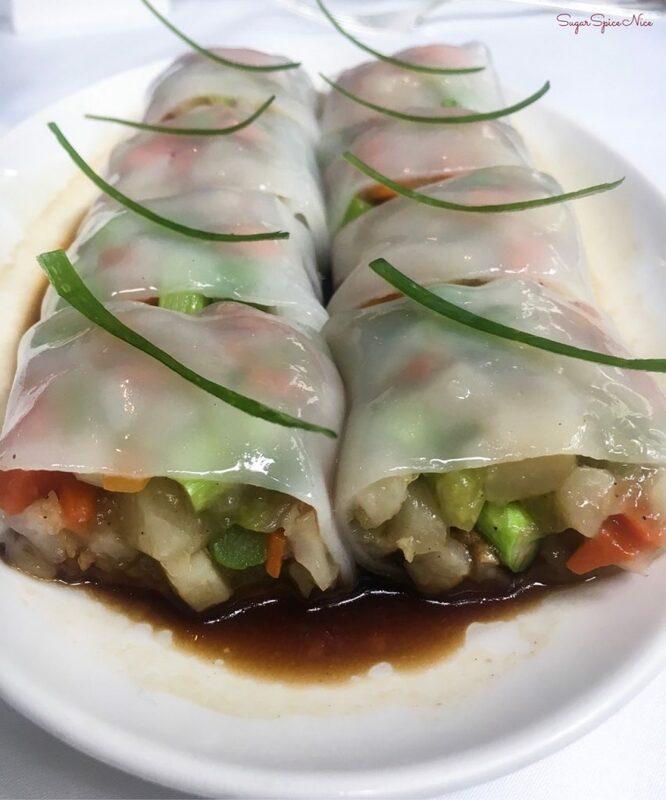 Don’t miss their turnip cakes – they’re the best! This place is famous for its buffet lunch. 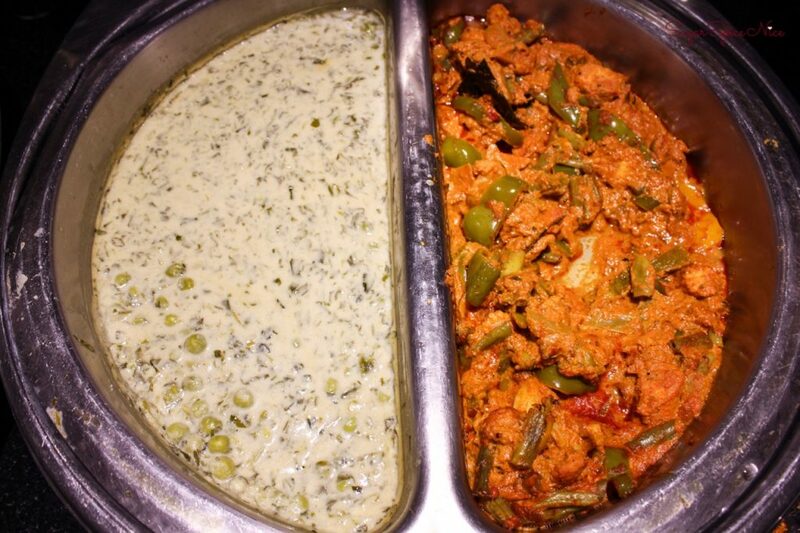 You can definitely indulge in a wide variety of their dishes if you choose to go for their buffet. 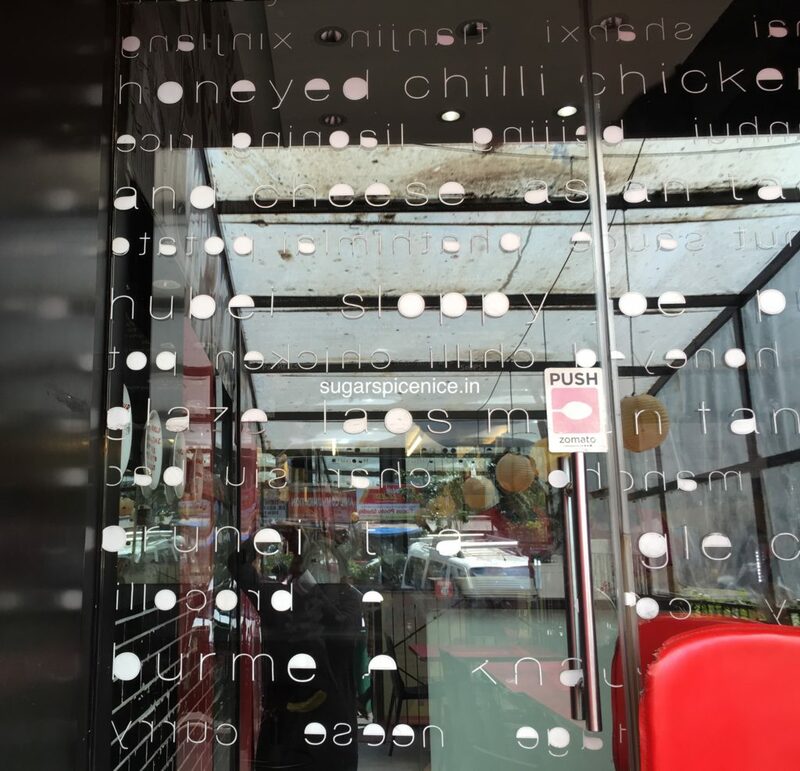 Another one for Asian cuisine, Koko has my heart not just for its food, but also its fun interiors. Its a really charming place and you should definitely visit. 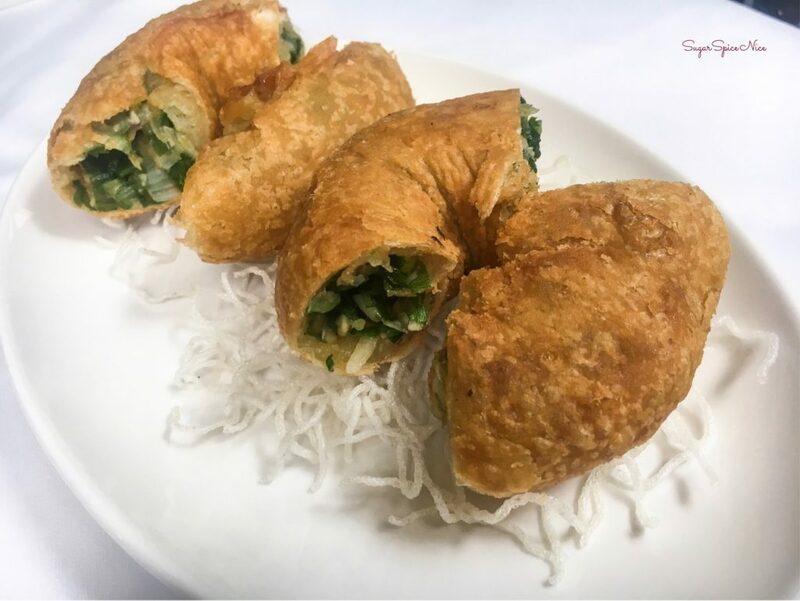 Another old favorite – China Gate has some of the best Chinese starters and appetizers. 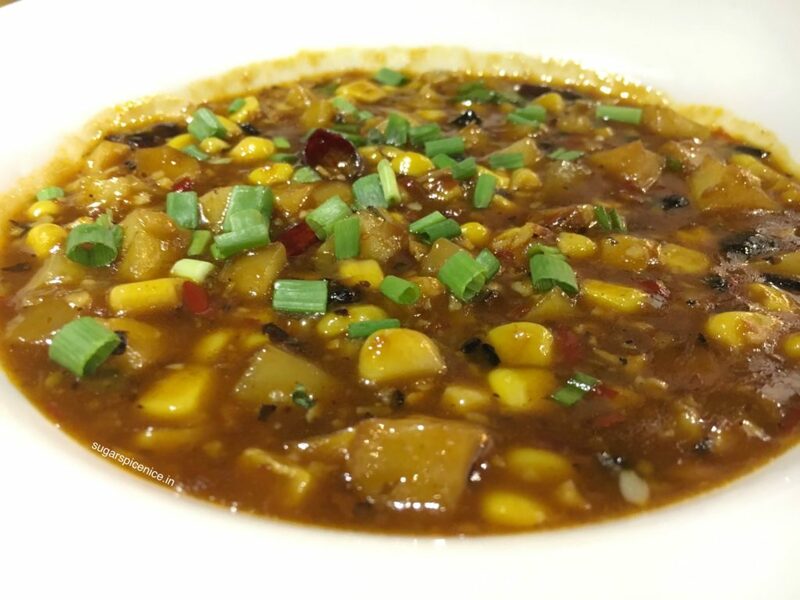 Crispy Corn with Waterchestnut and their Tsing Hai Potato are definitely something you should try. 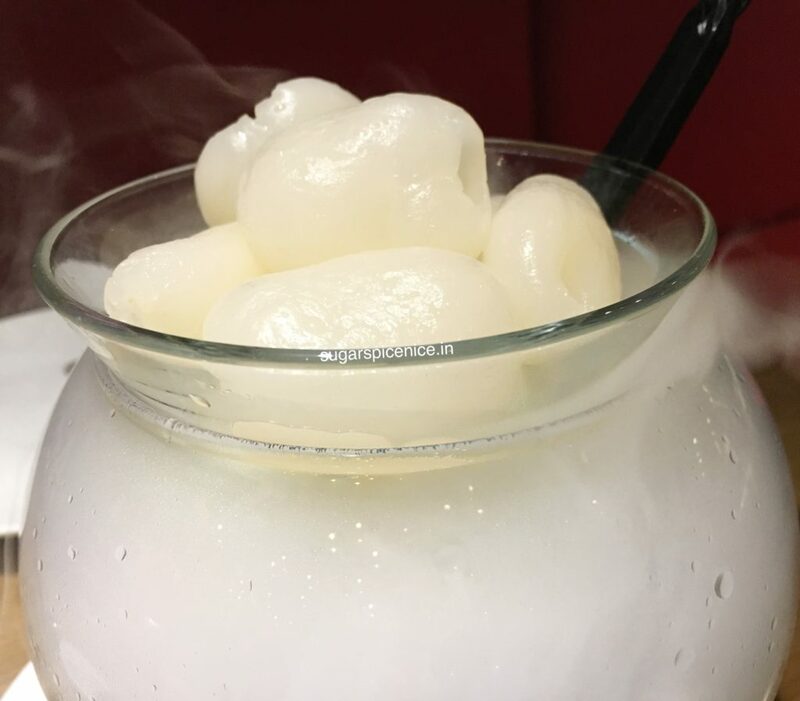 A new entrant in the city, this place is great if you are celebrating a special occasion. Grand interiors and good food is how I like to describe it. 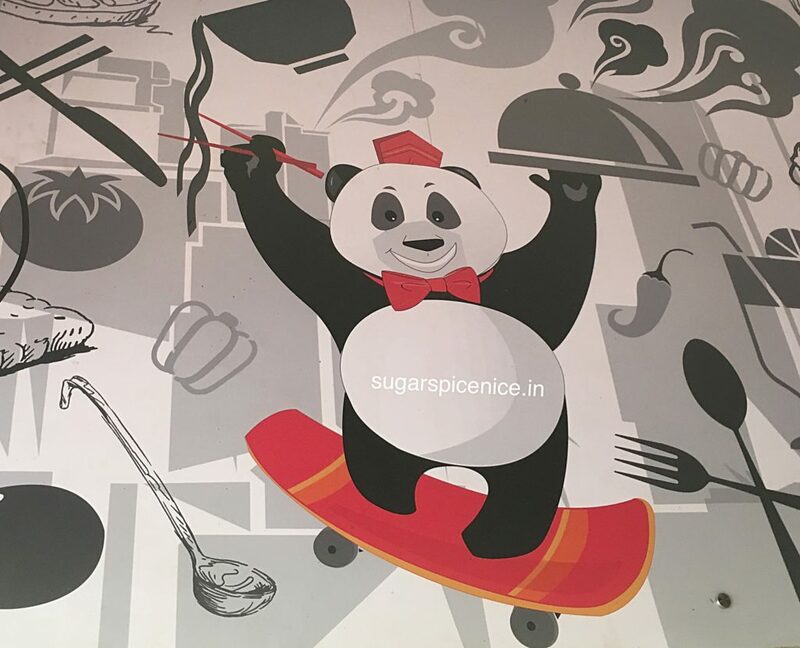 So those were some of my favorite Chinese Restaurants in Mumbai. Hope this list is helpful. 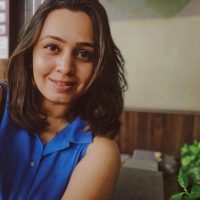 Do visit and let me know about your experience. 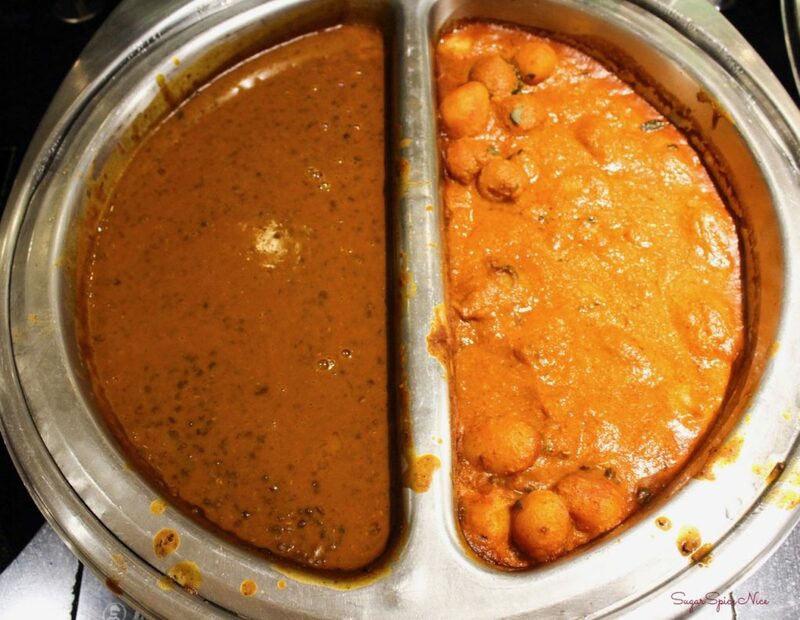 Sapphire vegetarian restaurant is located in The Emerald hotel in Juhu. 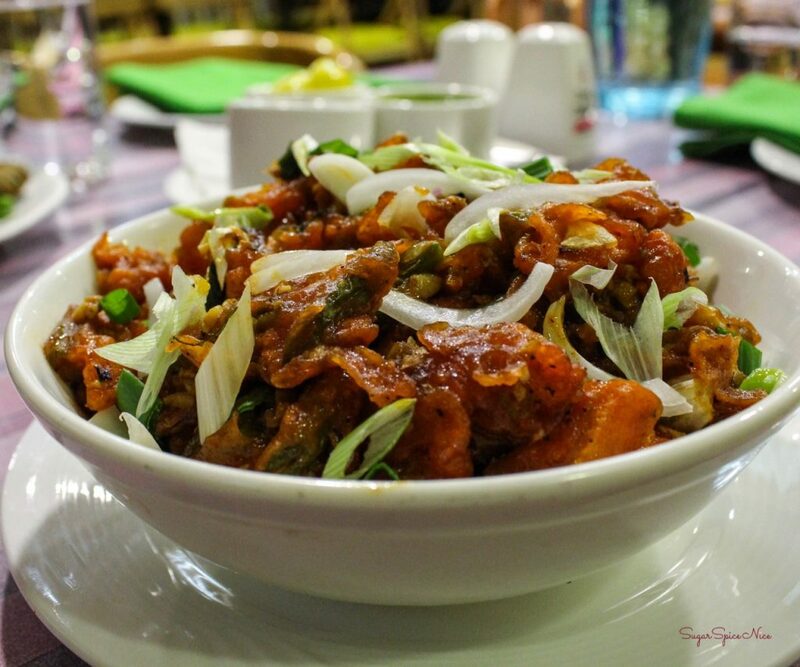 You will find a wide variety of dishes across cuisines at Sapphire Vegetarian Restaurant. This includes Mexican, Italian and even Greek food! 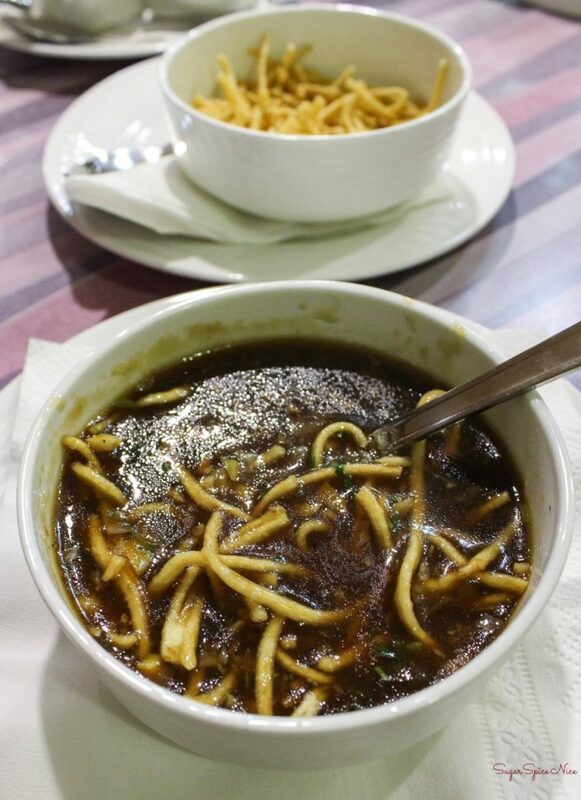 For me a good manchow soup is one that has the intense hot flavour from garlic and ginger. This one kind of lacked that. 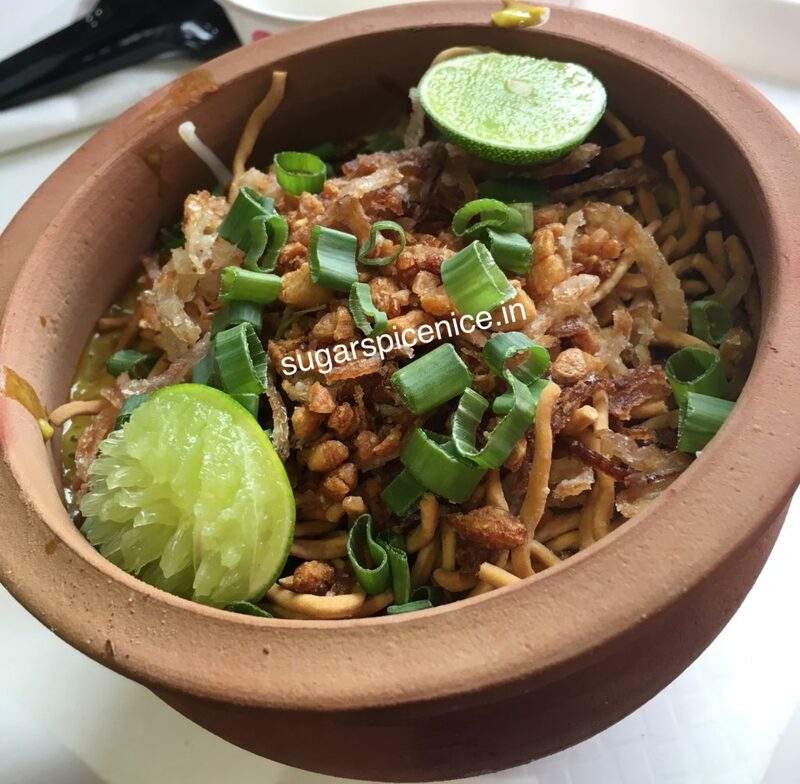 Also the fried noodles served with the soup had a slightly off taste – the kind that is when you have when the items are a little beyond their shelf life. 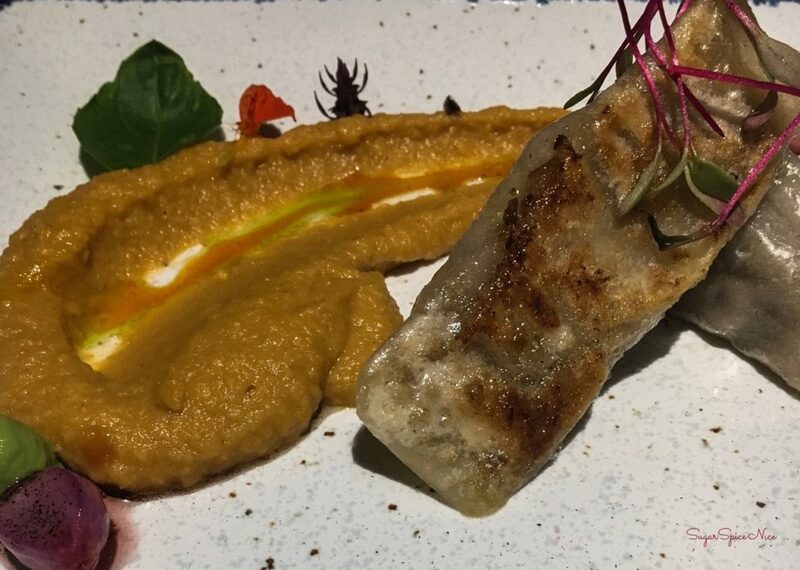 This is an extremely appetising Chinese starter. 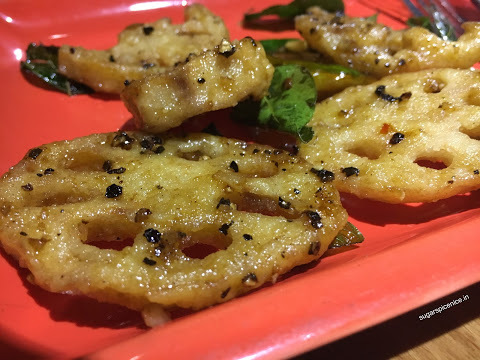 It’s fried vegetables coated with maida and sweet and spicy sauces. Again this lacked that zingy taste and honestly the vegetables weren’t crispy at all. These made up for everything! 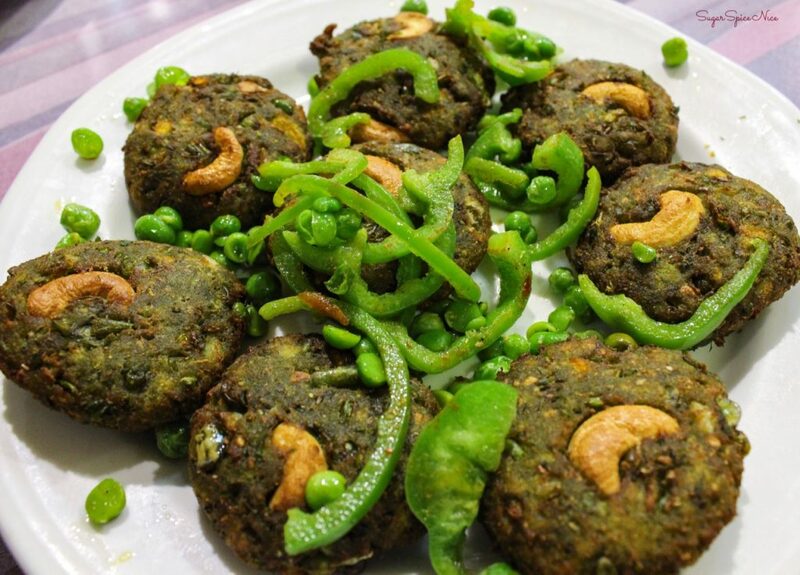 The Hara Bhara Kebabs at Sapphire are a must have. They actually serve really good, fresh sugarcane juice. 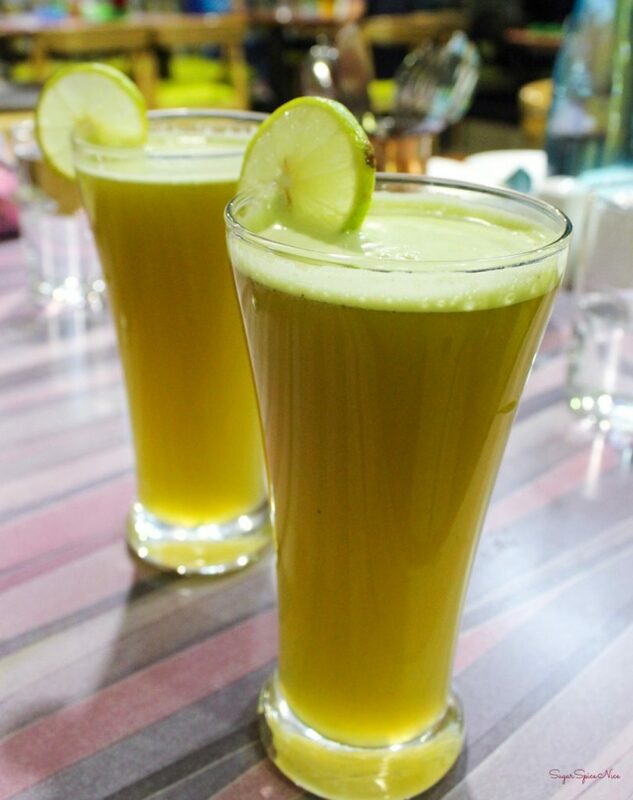 It’s got some ginger and lime which I love in a sugarcane juice. 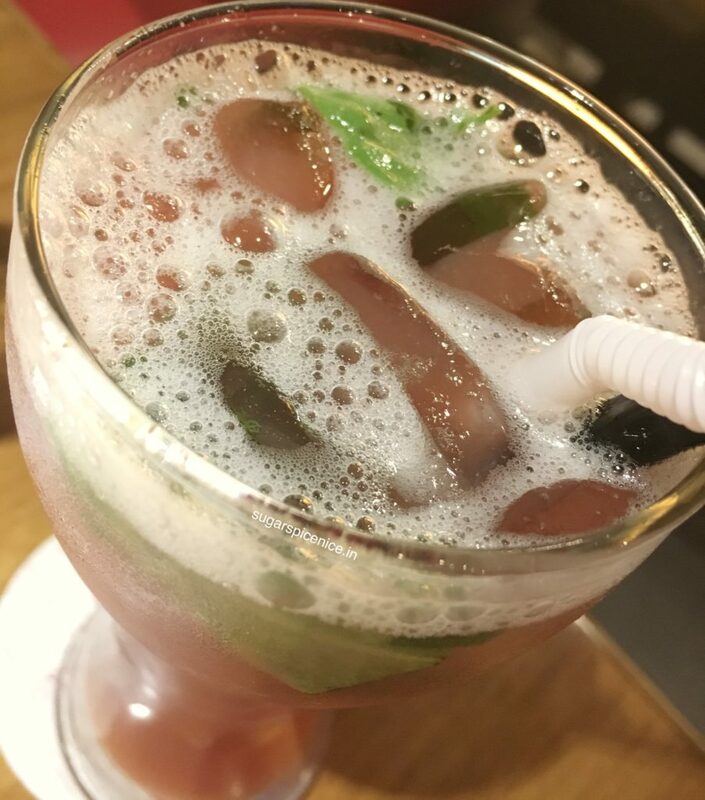 A welcome change from the over sweet fruit juices and artificial syrups that everyone serves. 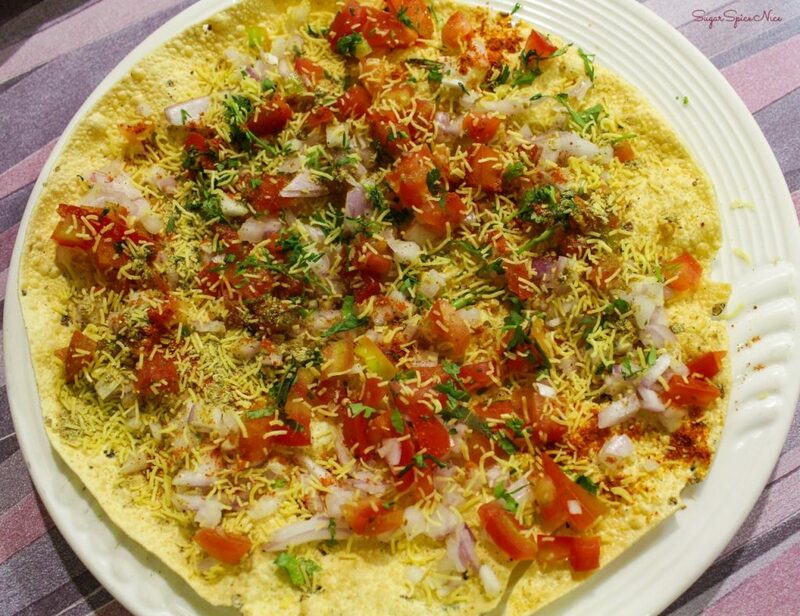 Nothing like deep fried, crunchy papad with tons of tomato and onion and chilli powder! 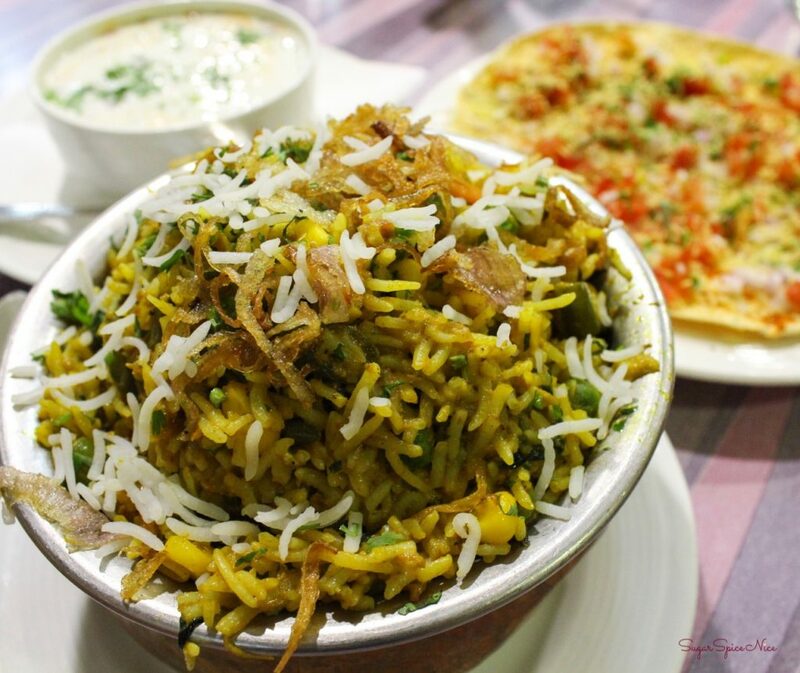 Fried onion, carrots, peas, french beans, paneer and corn – all of these and the fragrant rice made for a pretty decent biryani. It’s served with some vegetable raita. These were indeed delicious. 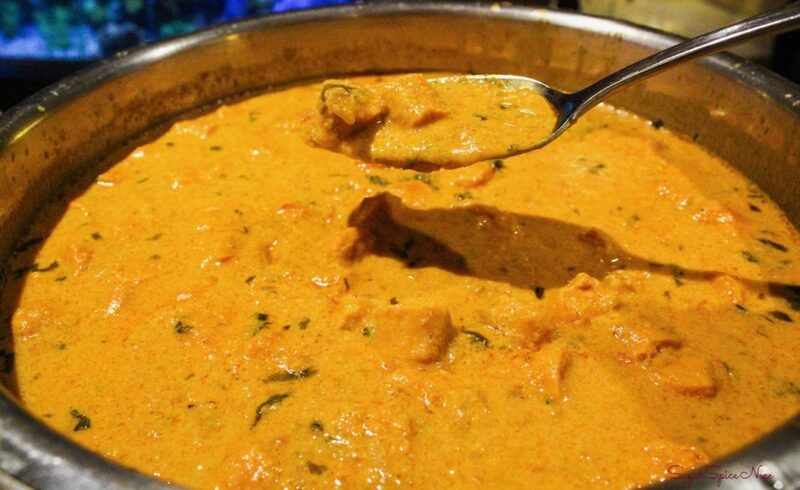 The perfect texture and taste. 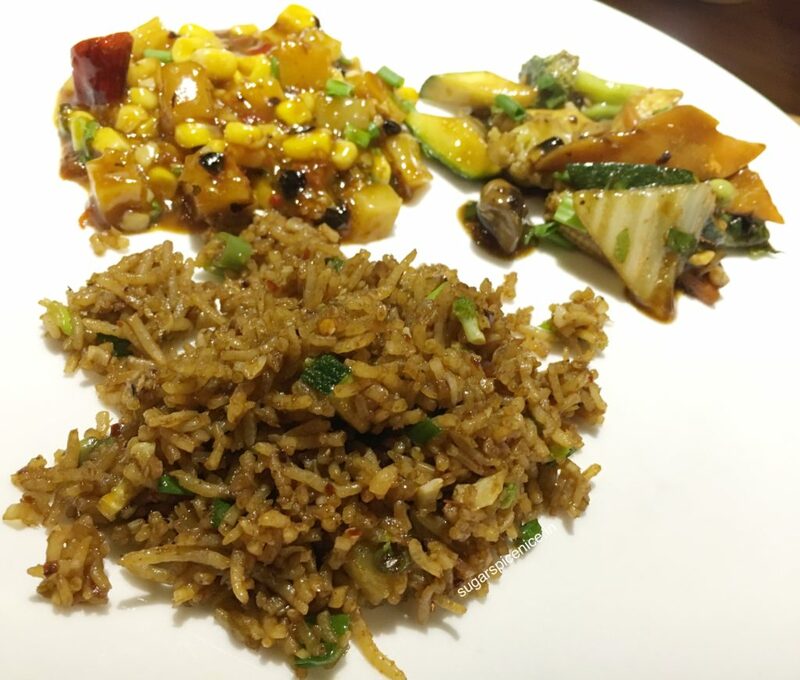 If you visit Sapphire Vegetarian Restaurant, I’d recommend trying Indian versus Chinese food. I personally preferred it more. 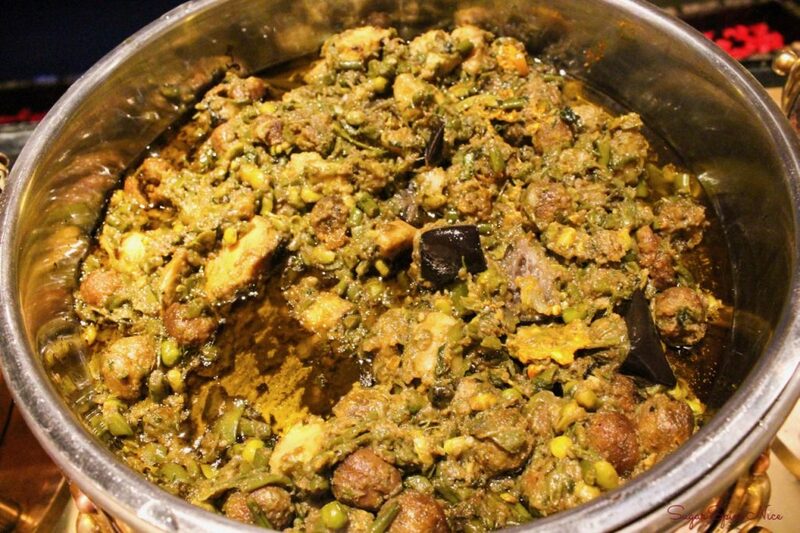 And definitely indulge in their Hara Bhara Kebabs. They are perfection! I hope this review was helpful. Stay tuned for my next post. Watch some of my videos on my Youtube. 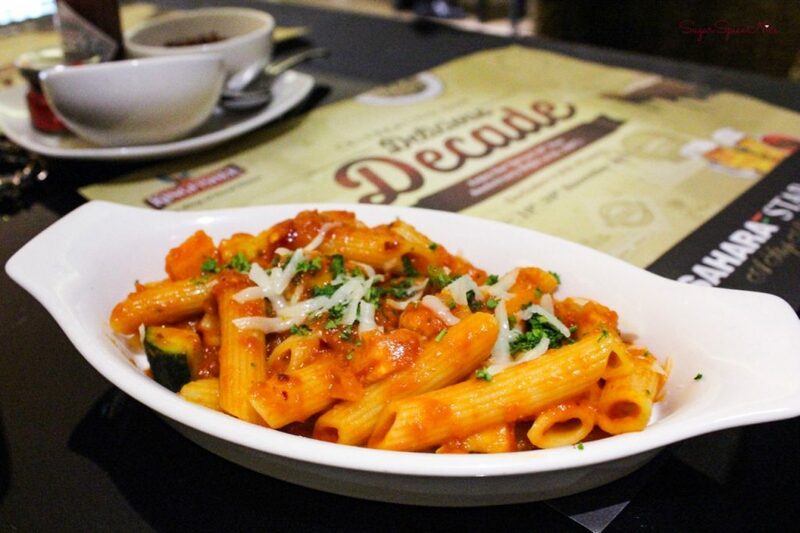 Sahara Star Mumbai is celebrating their 10th anniversary with a special menu everyday. 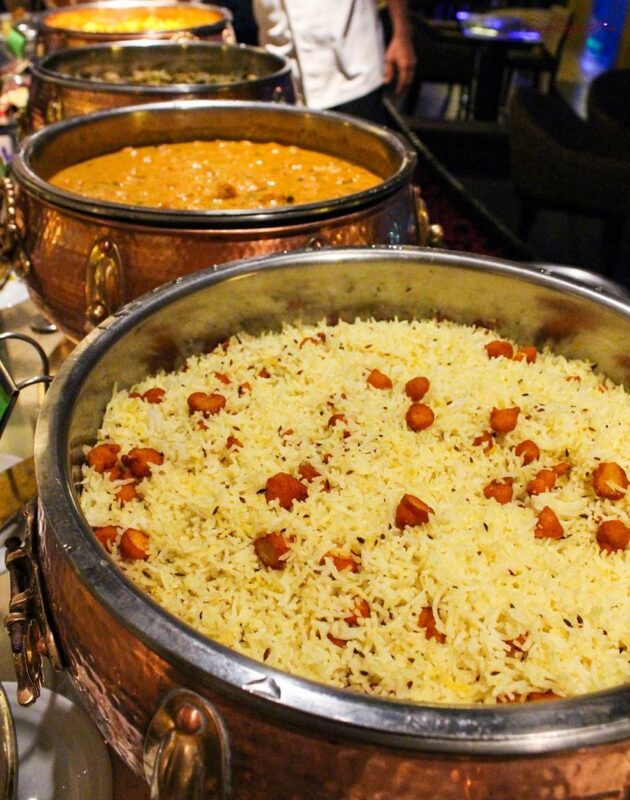 Sahara Star Mumbai has been around since 2007 and to celebrate this, they have a special dinner buffet. 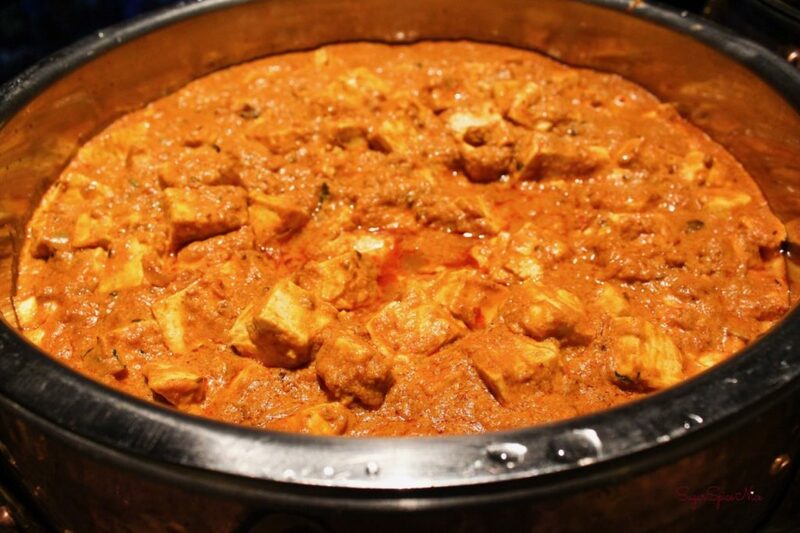 All through November, you can enjoy the dinner buffet at The Earth Plate at Sahara Star Mumbai for a special price of Rs.2007. This includes the regular buffet and also their daily anniversary specials. 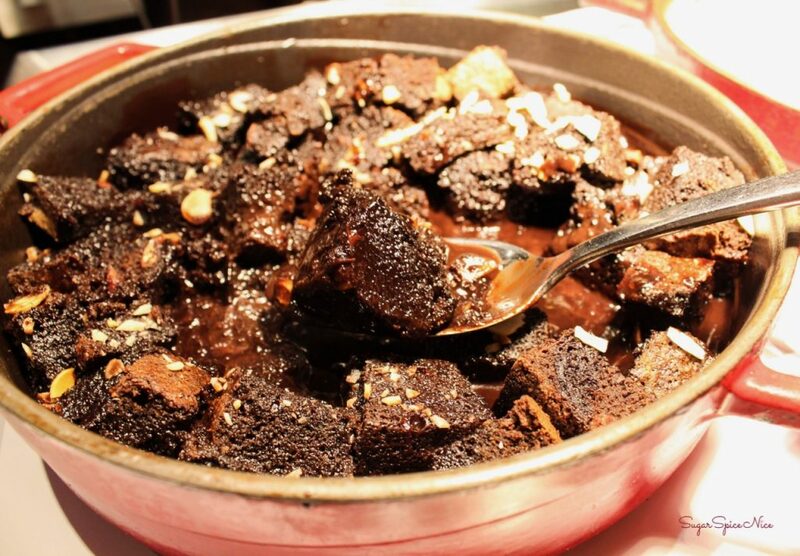 Their buffet includes Salad, Live Counters, 6-7 varieties of main course dishes and a wide range of Dessert selection. Add to this, a special section to commemorate their 10th anniversary. 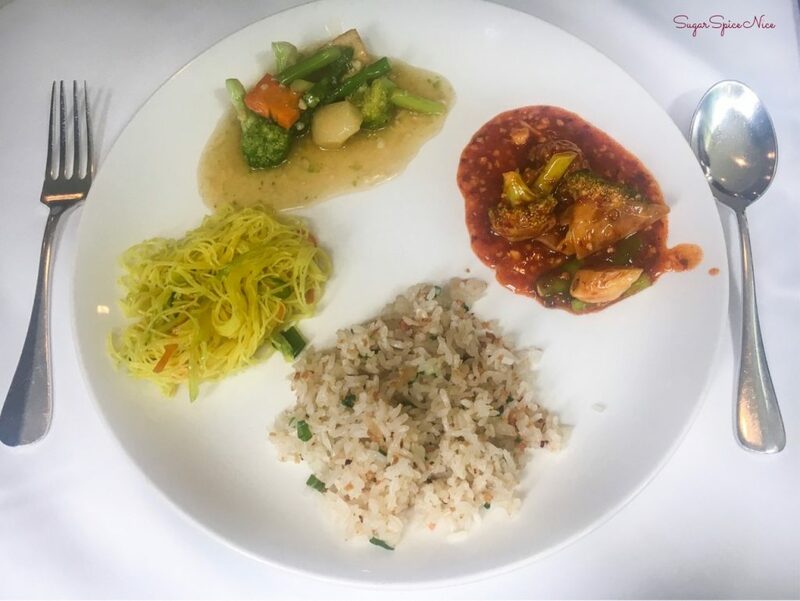 You can check out this LIVE video from my visit to The Earth Plate at Sahara Star Mumbai and get an idea of the menu. 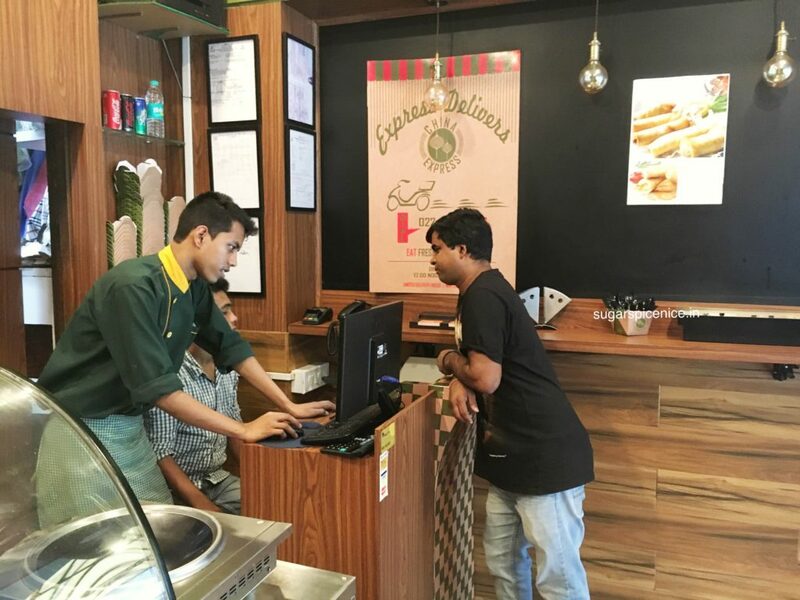 When I visited The Earth Plate for their 10th anniversary celebration, I got to try their Rajasthani menu. 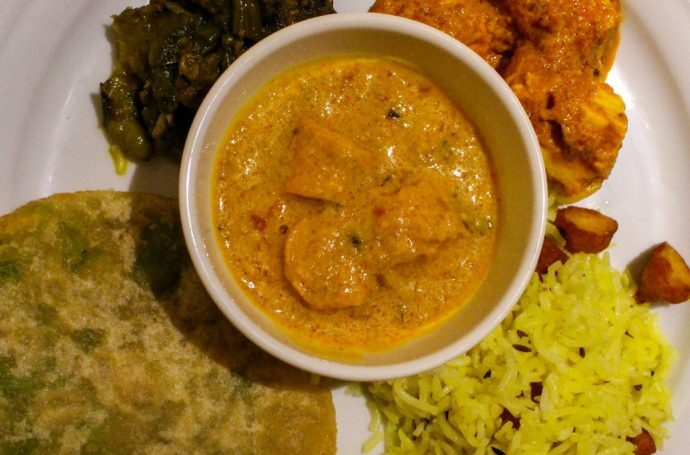 This included Undhyu, Gatta Curry, Mutter Puris and a few more dishes. I also enjoyed the rest of their buffet spread. 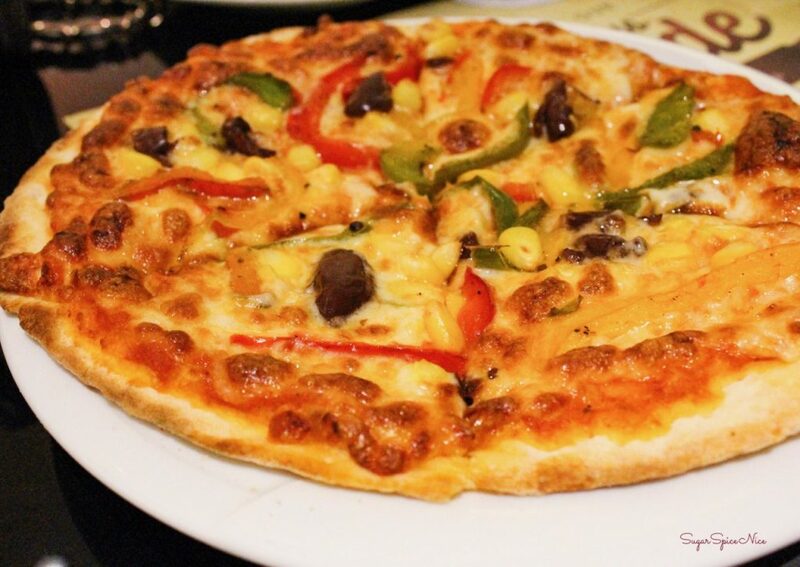 I tried out various items including this veggie Pizza and Pasta. 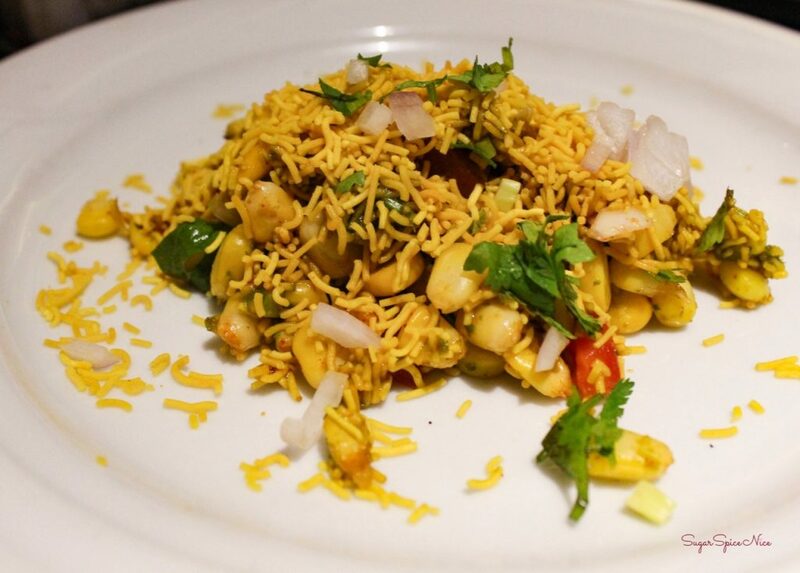 They also had a Corn Chaat counter and this was quite tasty. You can see the wide variety in their main course selection here. From soup to breads, to different subzis. And this is just the vegetarian section. They have an equally indulgent non-vegetarian section as well. And here’s what I tried from their huge dessert spread. So that was it from my visit to The Earth Plate at Sahara Star Mumbai. 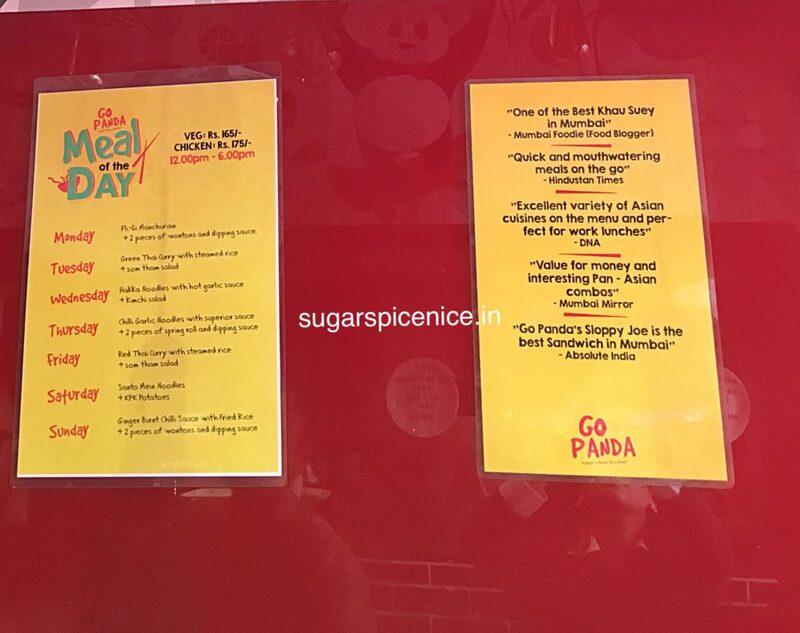 You can visit them to check out their anniversary special celebrations until the end of this month. You can check out their Dinner Buffet priced at Rs.2007. Thank you so much for reading and stay tuned for my next post. 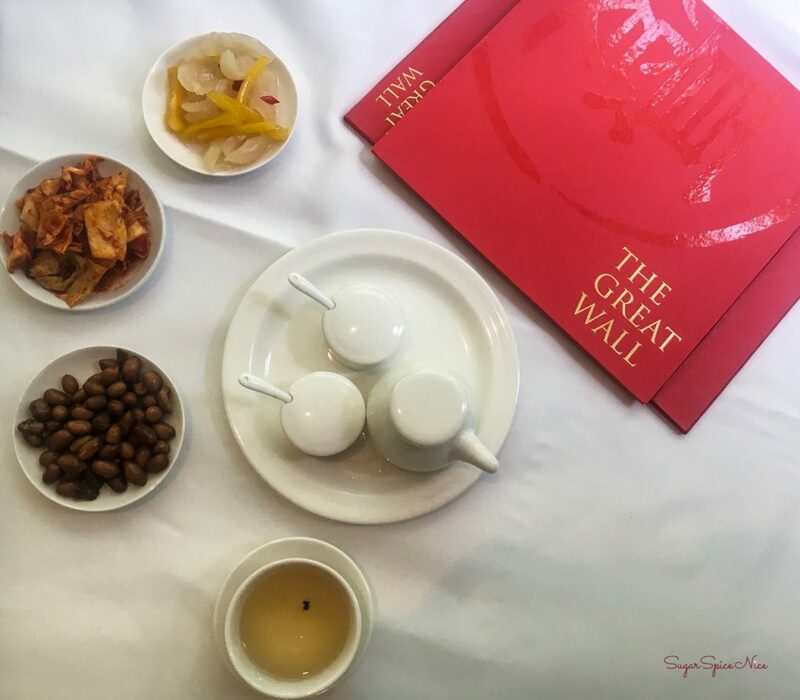 Very recently, The Great Wall at The Leela Mumbai revamped their menu. 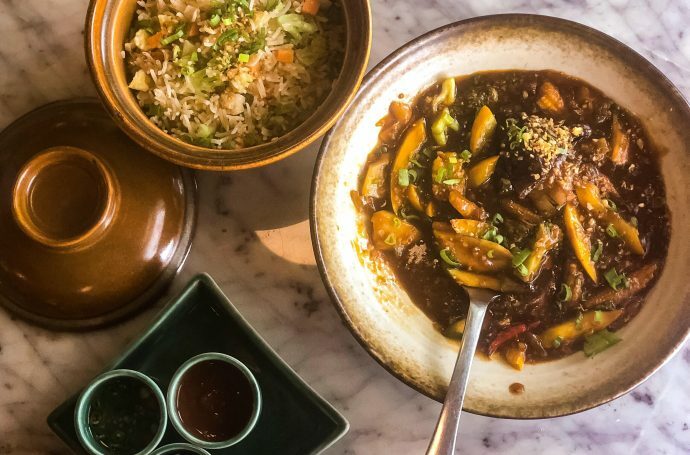 The Great Wall at The Leela Mumbai is a restaurant serving authentic Chinese food. 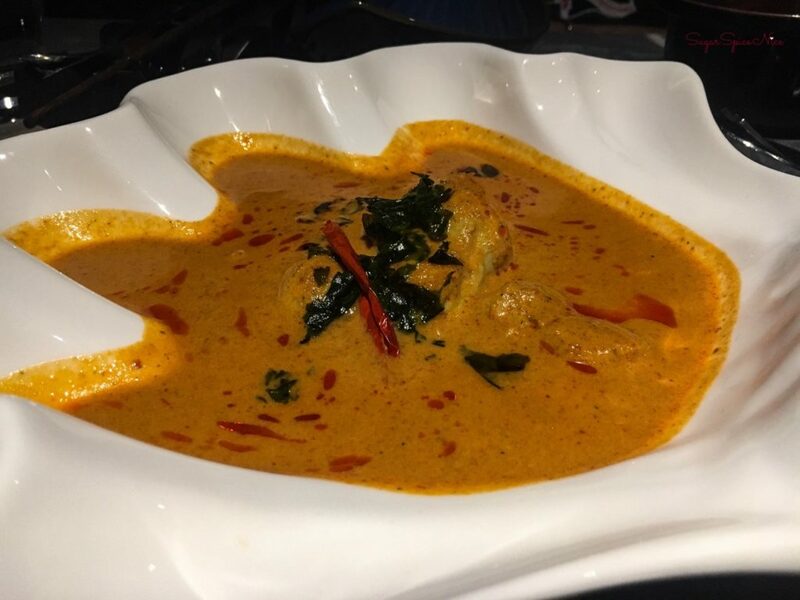 I associate The Leela properties and their respective restaurants with grandeur and a very magnificent experience. I had the same feeling when I stayed at The Leela in Goa a few years ago. 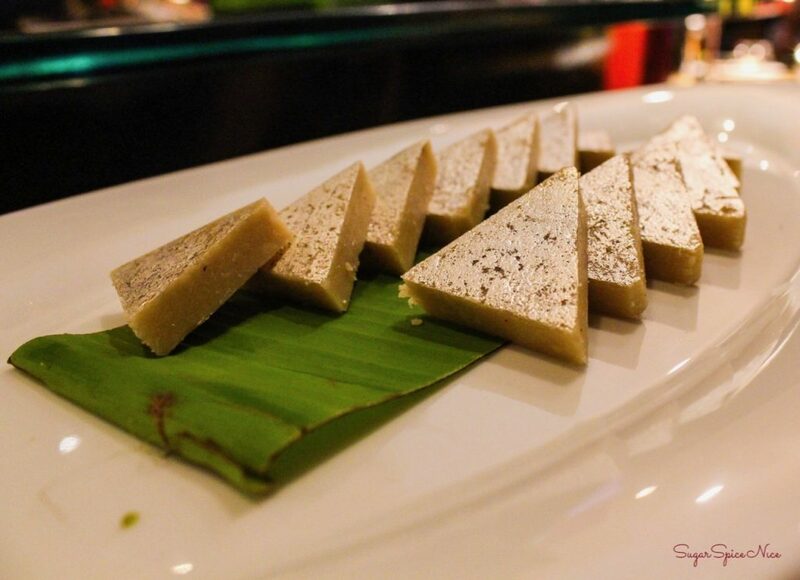 And also when I dined at Jamavar, at The Leela Mumbai. The Great Wall is honestly no different. 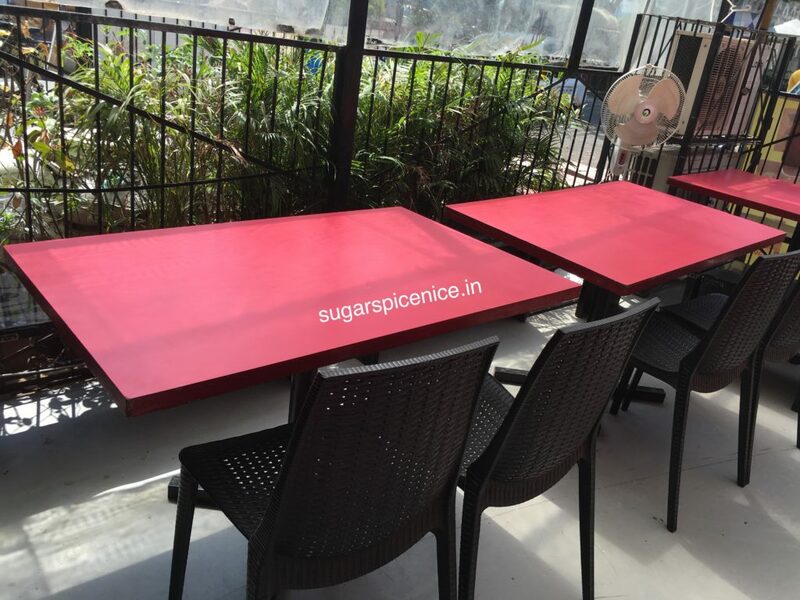 The interiors are spacious – sometimes even the best of the restaurants have really tight seating, or the tables are too close to one another. 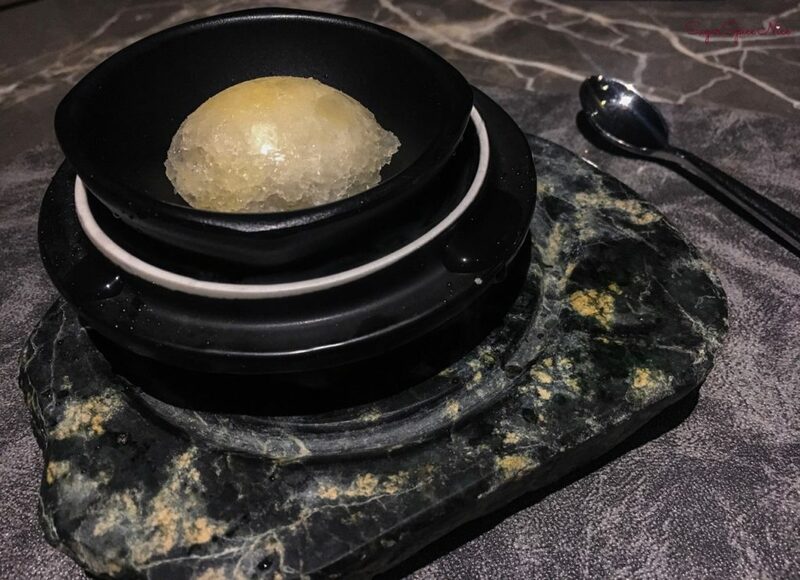 But here, the seating is very carefully arranged in a way that even if the restaurant was full, you could still be enjoying a rather private meal. 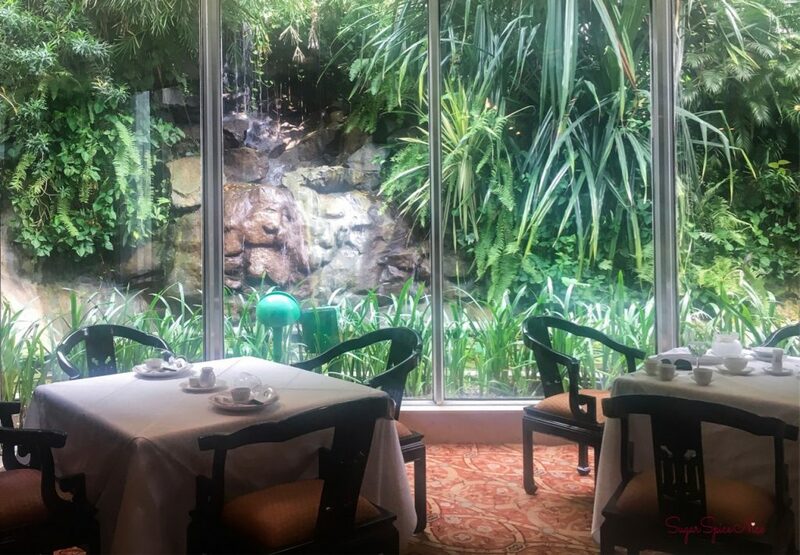 And if you are lucky, then you may just find a table by the window and that can make for a beautiful view, while you enjoy some good Chinese food. As soon as you are seated and comfortable, the staff will serve you some Jasmine tea. 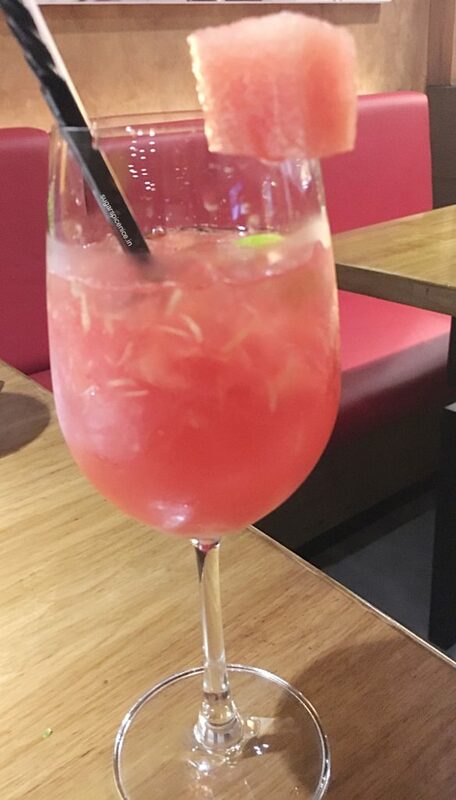 And you can sip that, whilst deciding what you need to order. 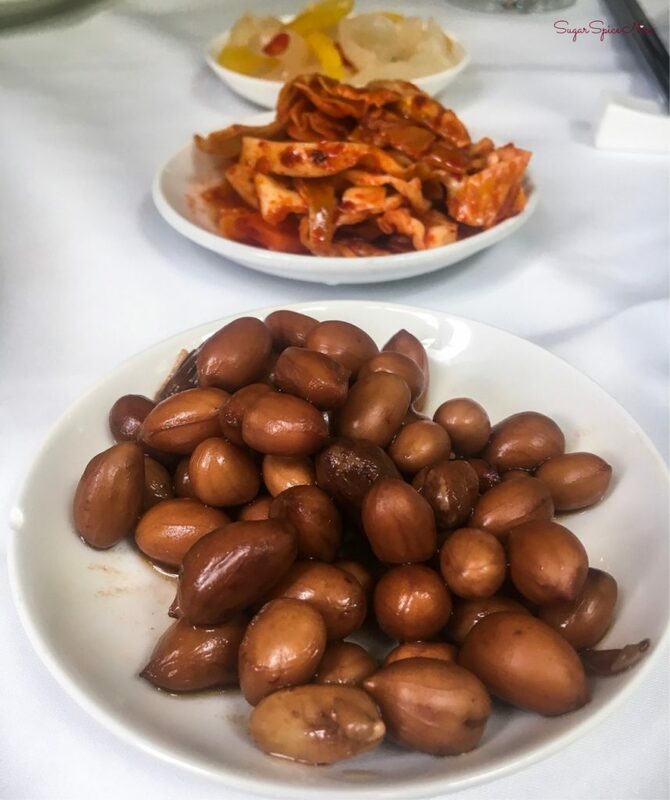 You can also munch on some peanuts, cabbage kimchi and even fruit kimchi while you wait for your order to arrive. 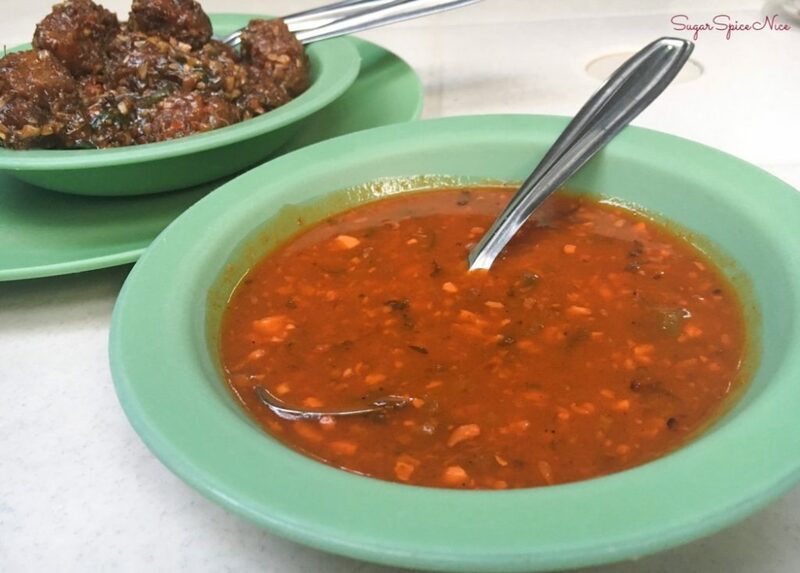 I started with some soup and tried out a little bit of the Manchow and the Sweet Corn Soup. 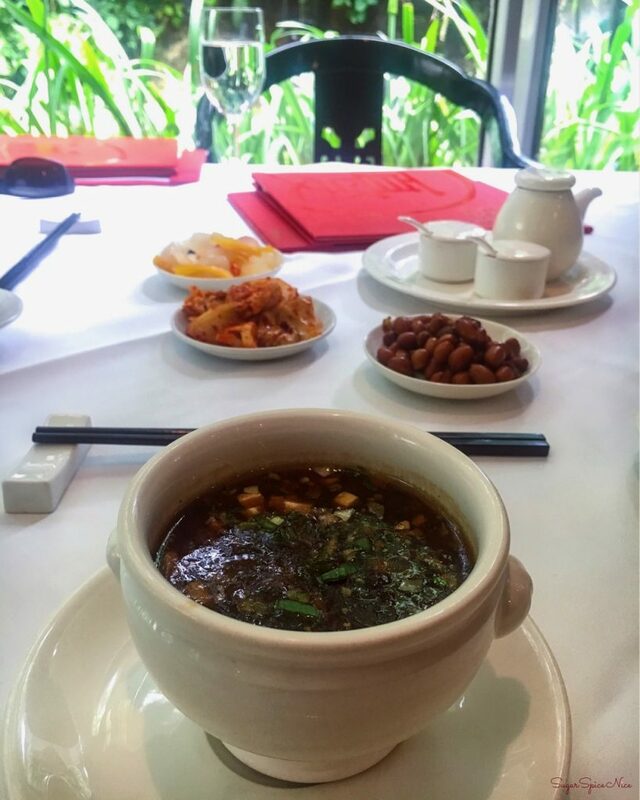 The Manchow Soup felt like perfection – warm goodness from all the ginger-garlic. 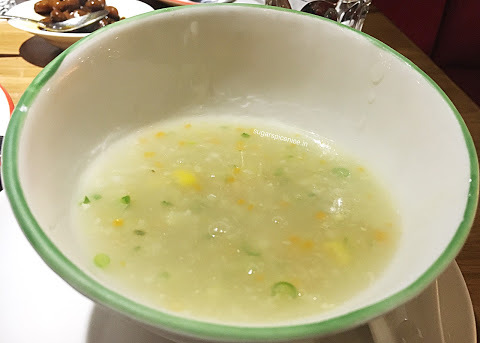 The Sweet Corn Soup was generously topped with vegetables and was indeed very comforting. 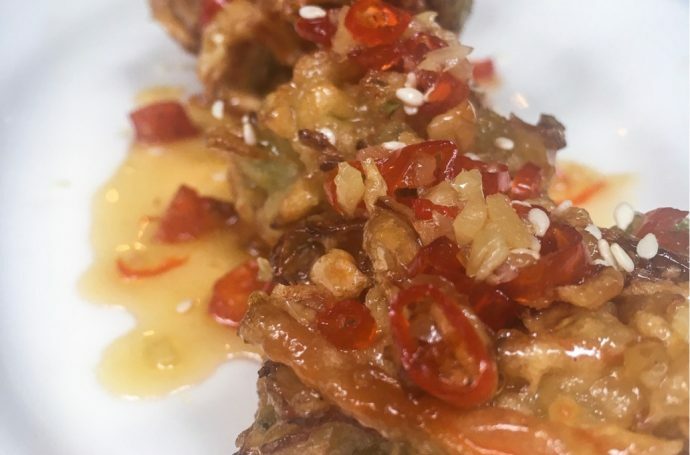 I tried a whole bunch of their appetizers. 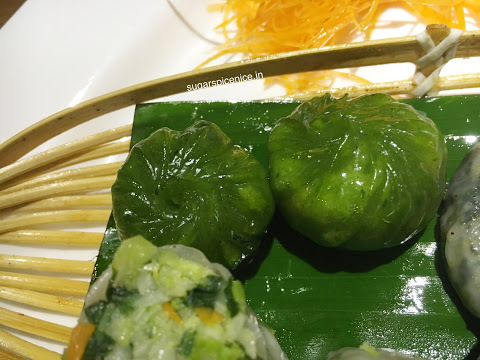 Cheong Fun Dim Sum – they’re made fresh and have a delicately thin outer covering and a very generous filling of vegetables. 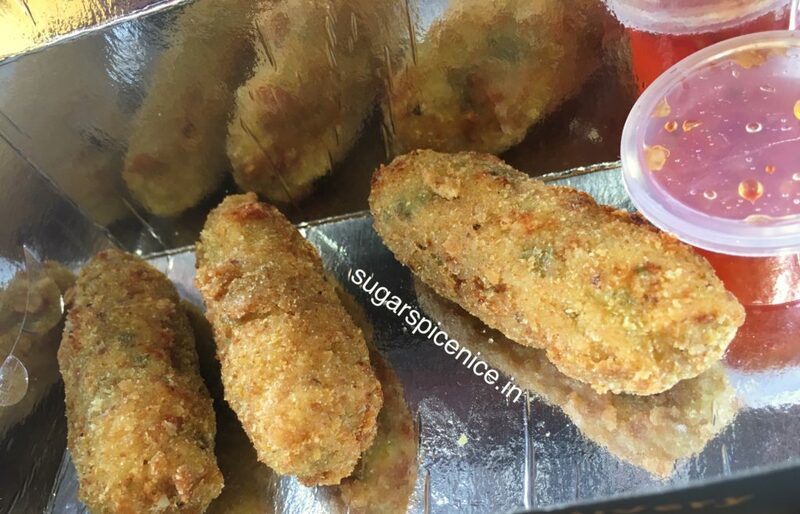 These were melt in your mouth – the flavor of the vegetables along with the mild sauce was exceptional. 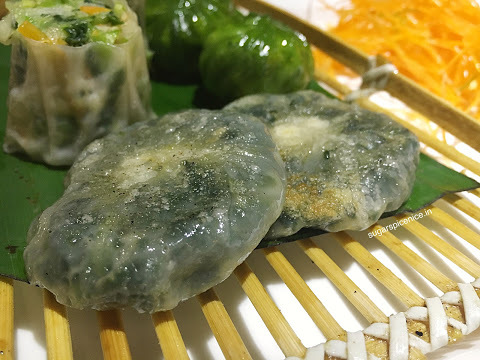 Onion Pancakes – these were as delicious as they look! Deep fried and with an extremely tasty stuffing inside. I absolutely recommend ordering these. 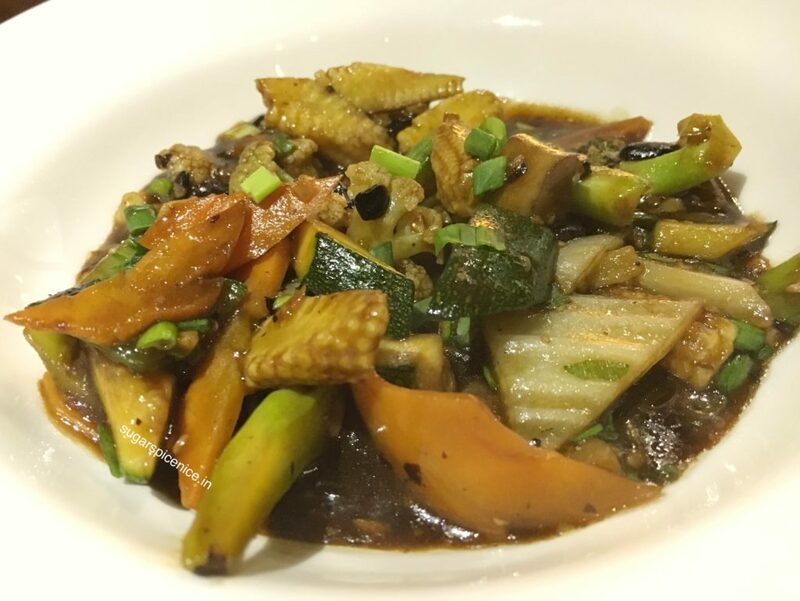 Crispy Honey Chilli Vegetable – large chunks of vegetables, deep fried. They had a splendid hot and sweet kind of taste. I also completely over-indulged while eating my main course. 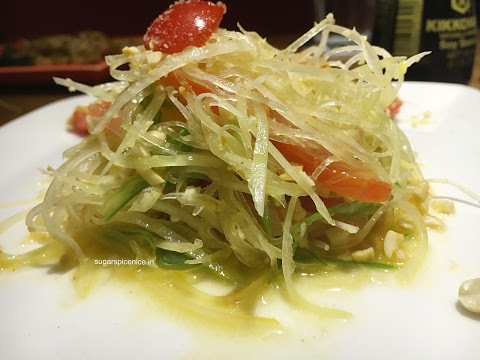 I tried their Singapore Rice Noodles which were yellow in color and came with some vegetables. 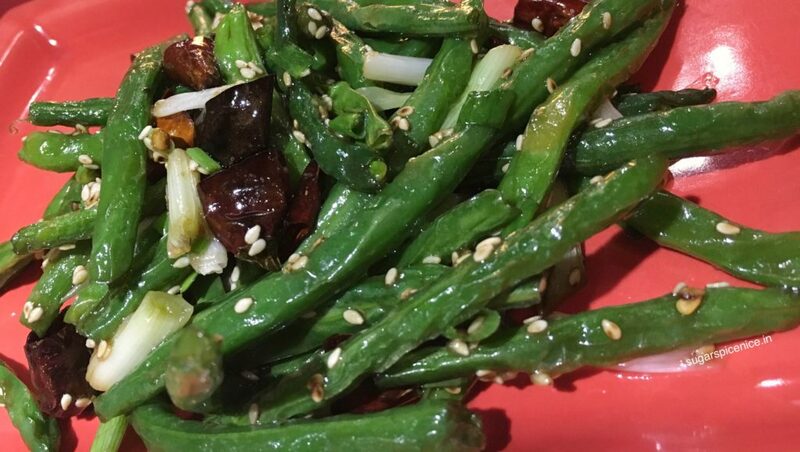 They felt extremely light and went perfectly with the Fresh Garden Greens in Hot Garlic Sauce. 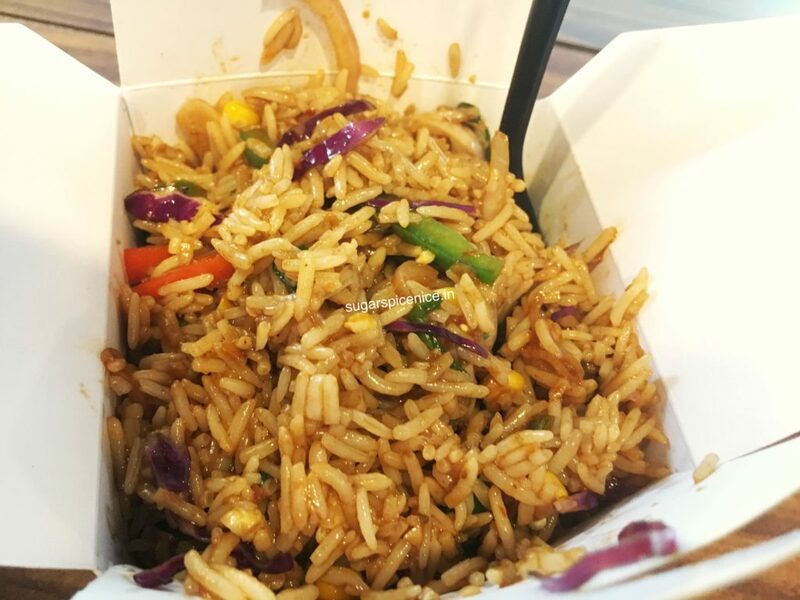 I also tried their Fried Rice with Star Anise, Caramelized Onions and Fried Garlic. 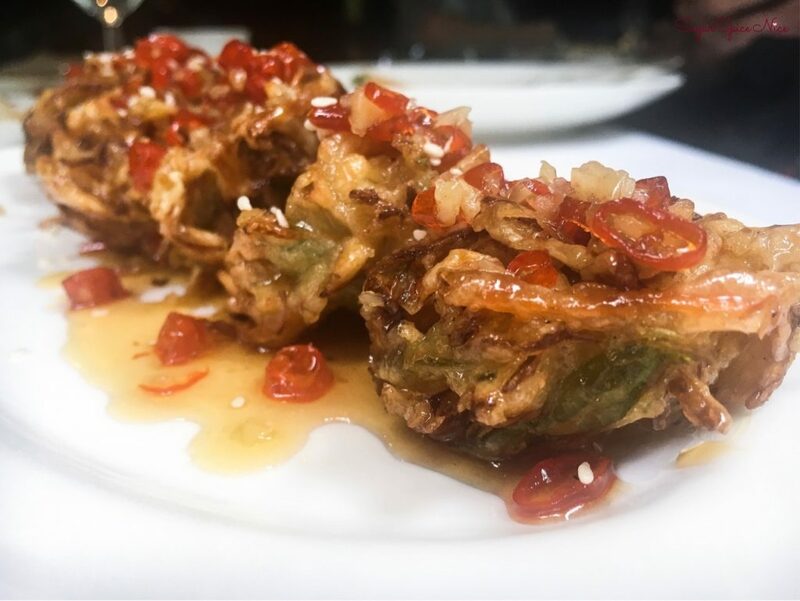 This had a distinctive flavor and was such a good combination with the Wok Fried Greens in the Ponzu Sauce. This gravy was very light, and had an almost citrusy feel to it. The water chestnuts, broccoli, tofu, carrots did lend their flavor and all in all I thoroughly enjoyed this one. 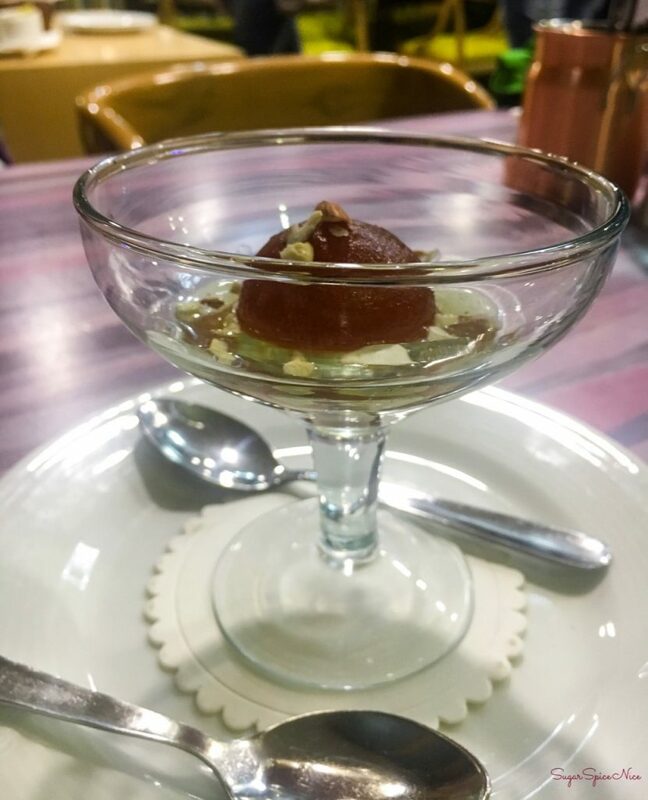 For dessert I tried their signature dish – the Gula Melaka. 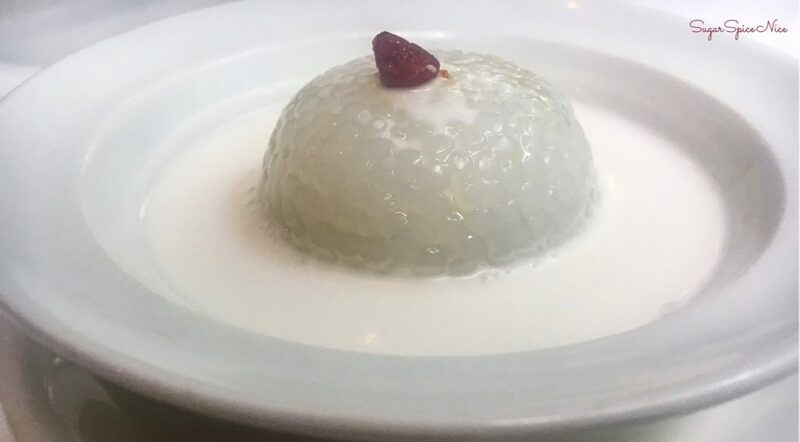 A pudding made from Sago and Coconut Milk. Very different! 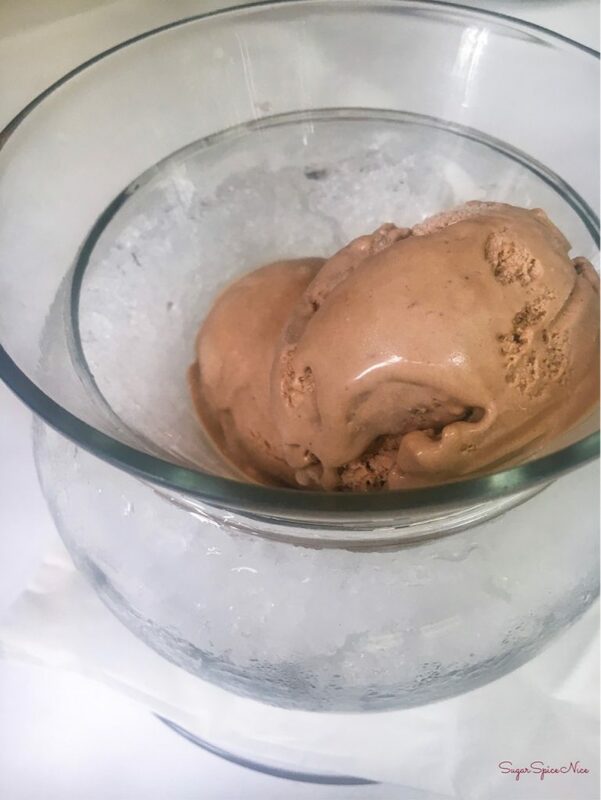 And I also tried their Handmade Hazelnut Ice Cream – and this is officially the best hazelnut ice cream I’ve tasted in the longest time. It is so beautifully creamy just so pleasing! The staff at The Great Wall are extremely polite and helpful. 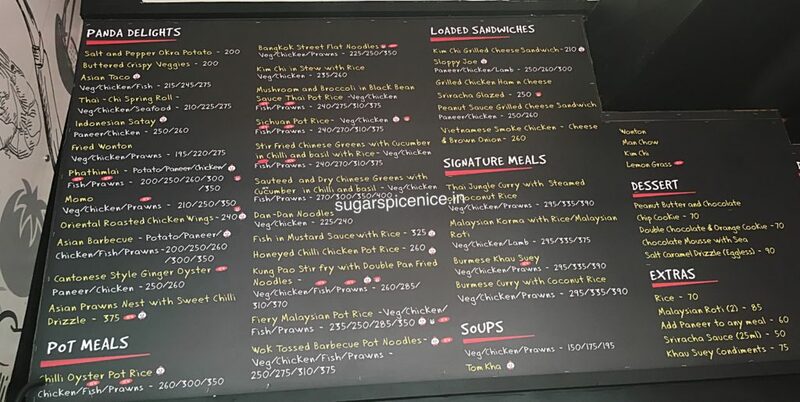 They not only guide you on what you should order, but also provide recommendations based on your likes, allergies etc. I totally recommend this place. It’s gorgeous and serves delicious food. They also have a very interesting set menu for lunch on weekdays and you could even check that out. 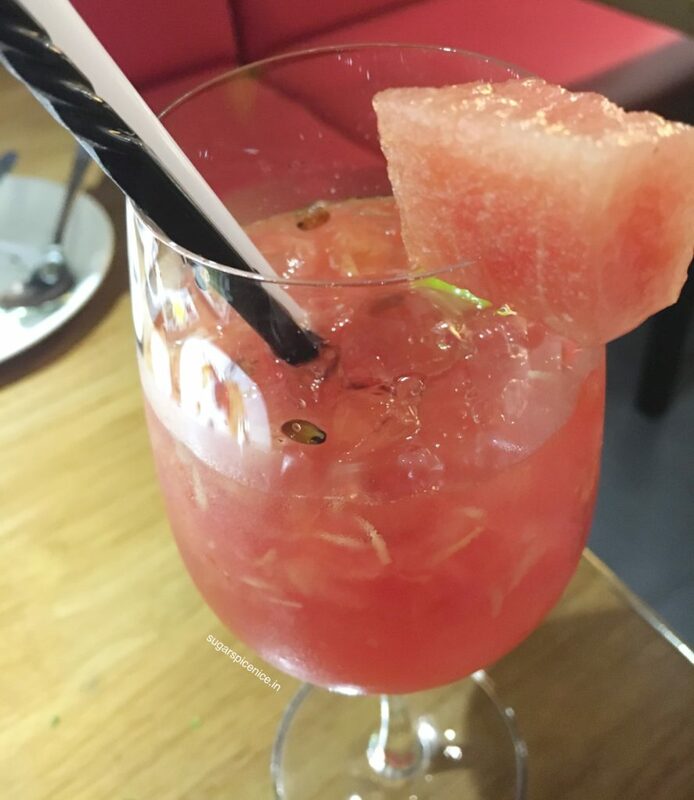 POH Mumbai (Progressive Oriental House) recently opened up at Kamla Mills Oasis City. 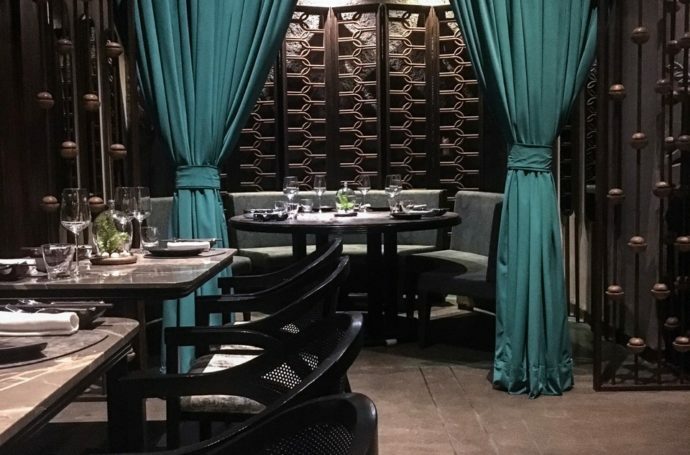 Not only does it serve delicious Asian cuisine, but POH Mumbai also provides an elaborate dining experience. When it comes to Asian cuisine, I am not the most experimental. I feel like I’m more comfortable with the Indianized version of Asian food as opposed to enjoying a completely authentic meal. 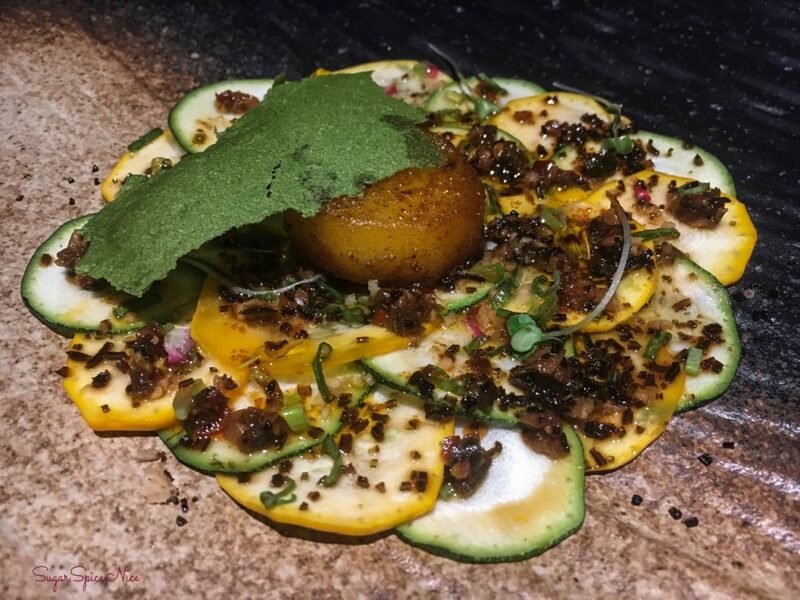 And when I went to POH Mumbai, I honestly wasn’t expecting to be absolutely blown away by what I tried. 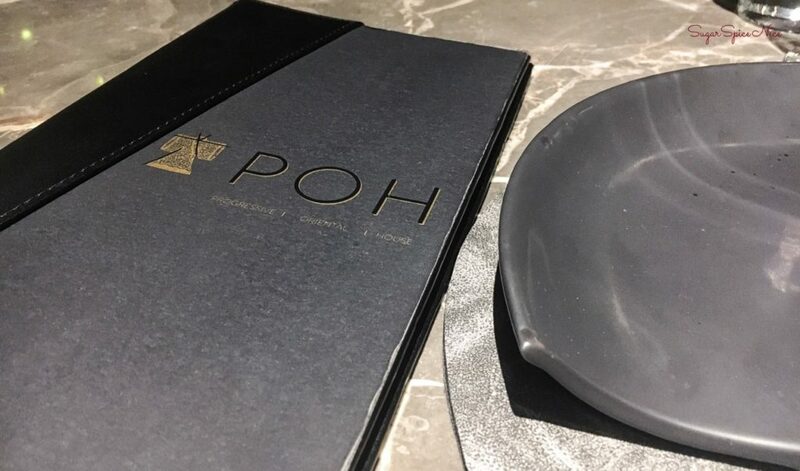 Let’s talk about the ambience first – the minute you step inside POH, you know that you are in for a really luxury experience. The way the place is done, the dim lighting, the beautiful bar – everything just spells elaborate. Even their cutlery is the handmade variety so no two glasses would be absolutely identical. 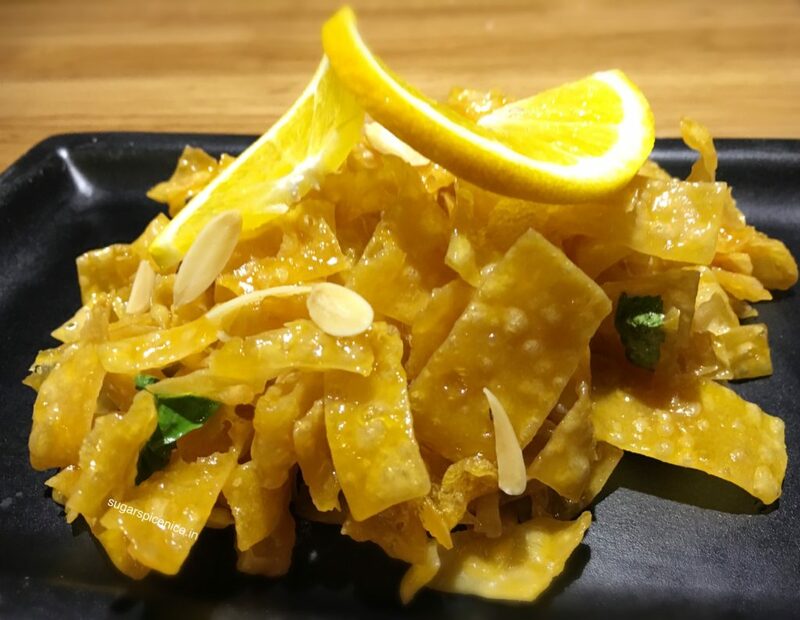 Their staff is extremely kind and soft spoken and go out of their way to ensure that what you order would be suited to your palate, in terms of food preferences and allergies. 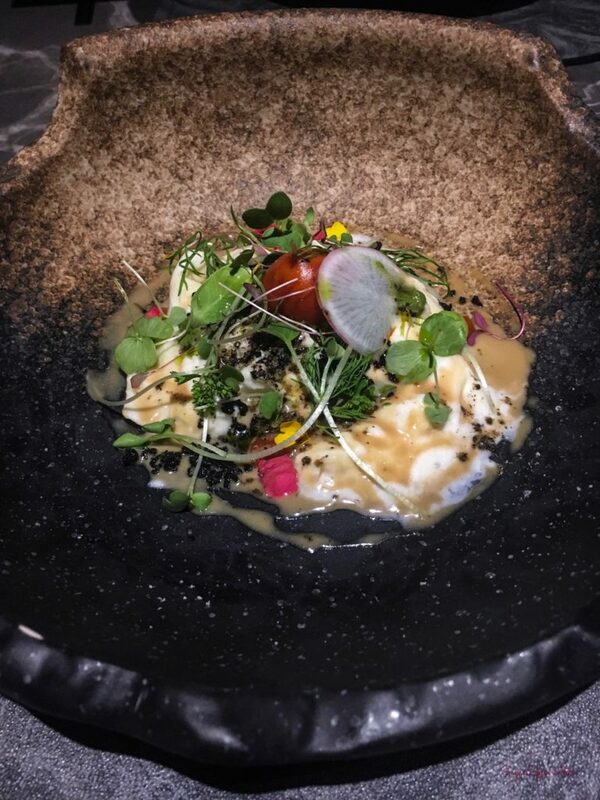 I was lucky enough to be able to have a special sample menu for myself so I could try various dishes. Here’s all of the stuff I tried. 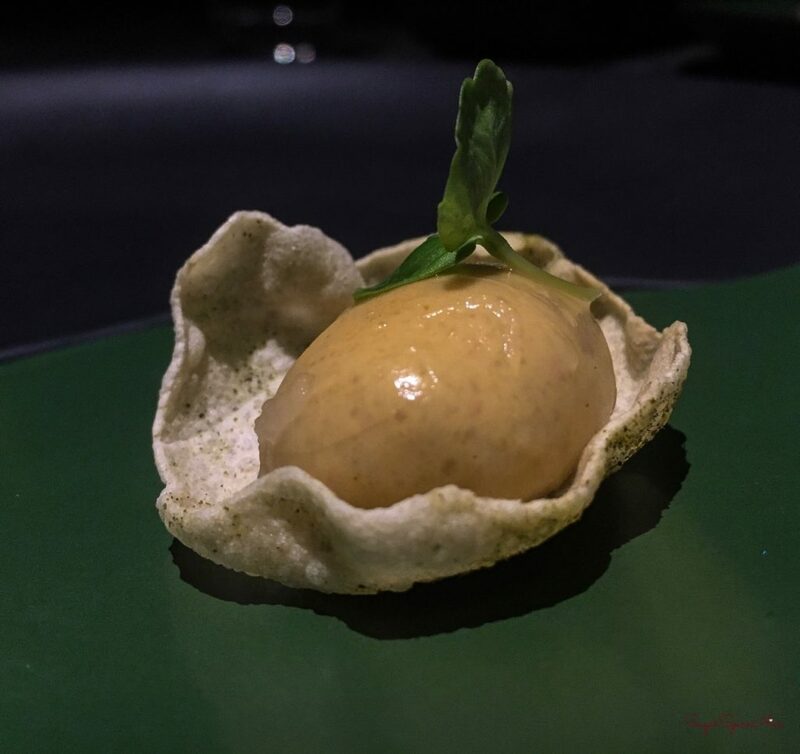 I began with the amuse bouche. This had a particularly hot taste. 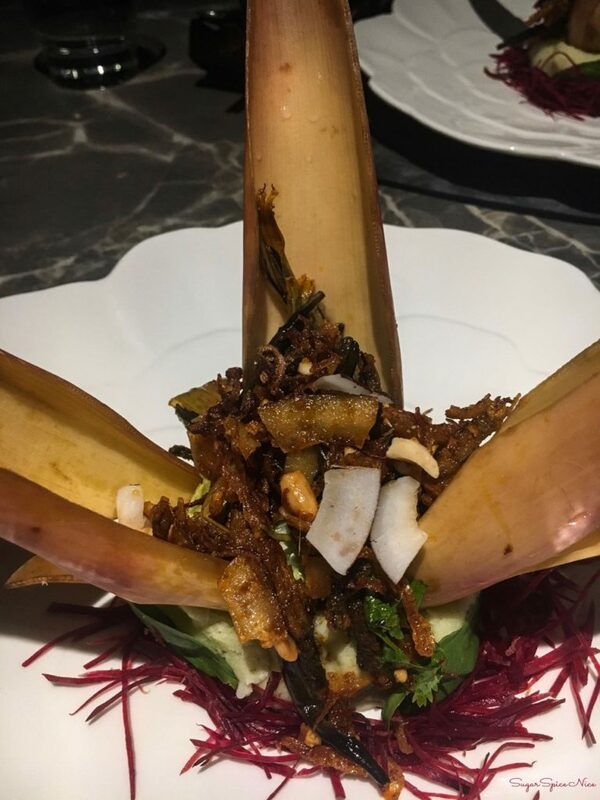 The first – Crispy Banana Blossom Salad. 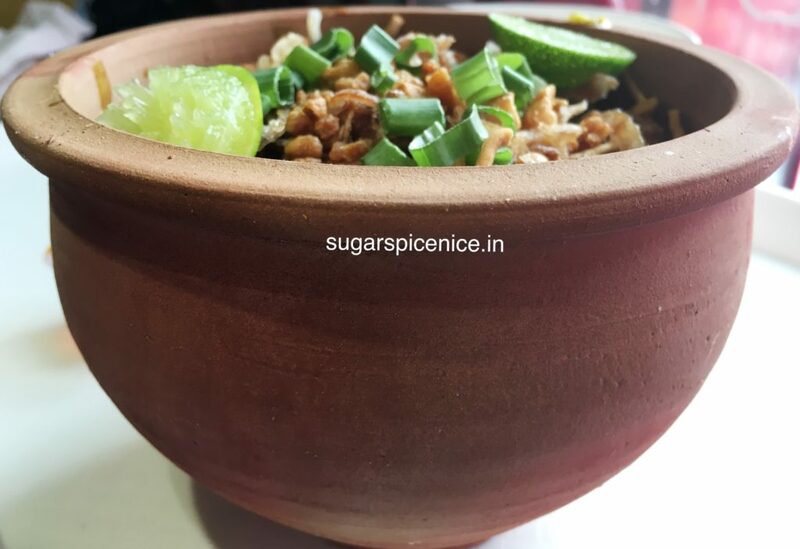 It had a mild tamarind flavor and a while lot of chopped peanuts. 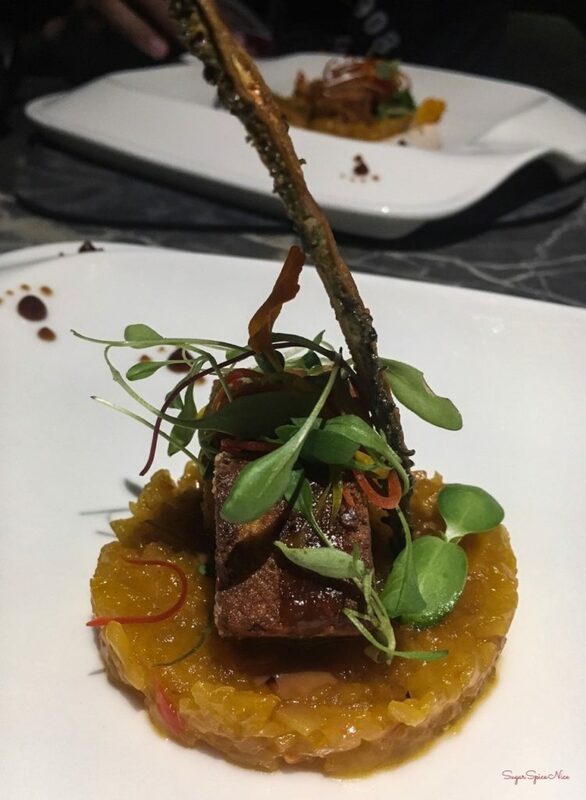 It tasted as elaborate as it looked. Next I tried something called Not A Caprese. Packed with Burrata and loads of greens. Then there was this dish made from Sweet Potato that was topped with green curry and butter. 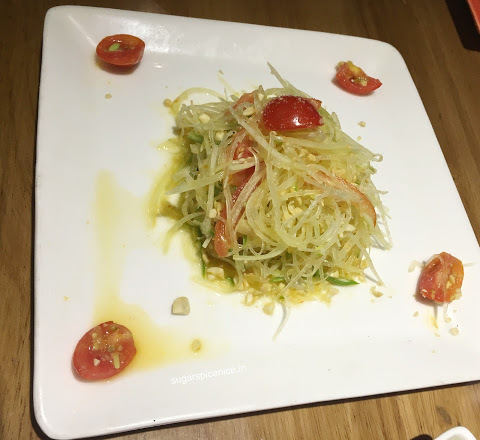 It also had really thin Zucchini slices which honestly tasted delicious from as they were completely drenched with the green curry. 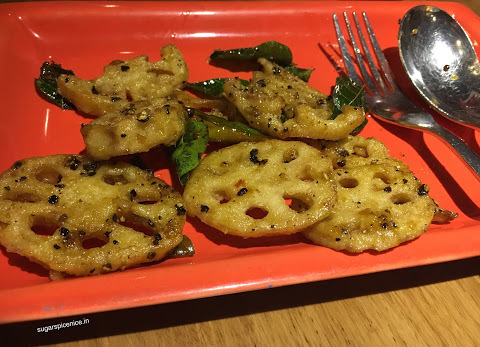 Then I tried their version of the Lotus Stem – they didn’t fry it but was dehydrated and it had a generous amount of pepper. It did come with some sour cream on the side to tone down the pepper. This was absolutely delicious. There was also the Red Kidney bean Gyoza with some chickpea mash. And the Herbed Tofu with some pineapple mash. All of the above were appetizers! Now moving to the main course. 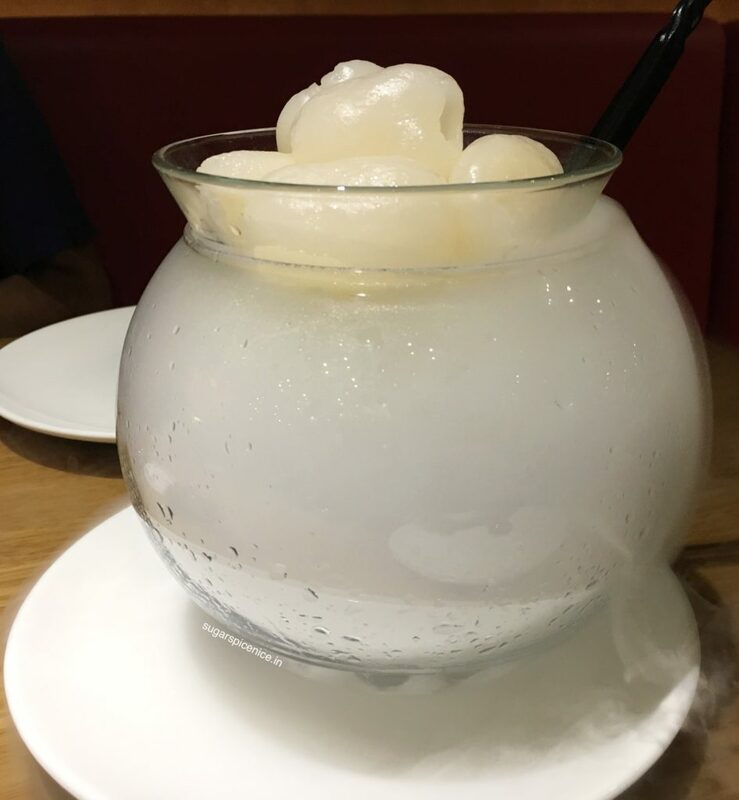 But before mains, I had this chilli sorbet – icy pop with a mild sweet and hot flavor. 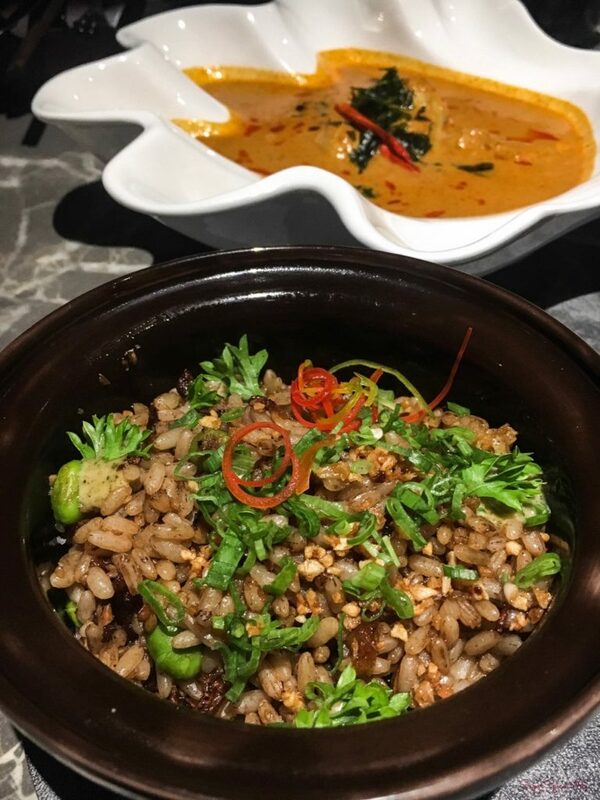 For mains, I tried their Kerala Fried Rice with the artichoke red curry. 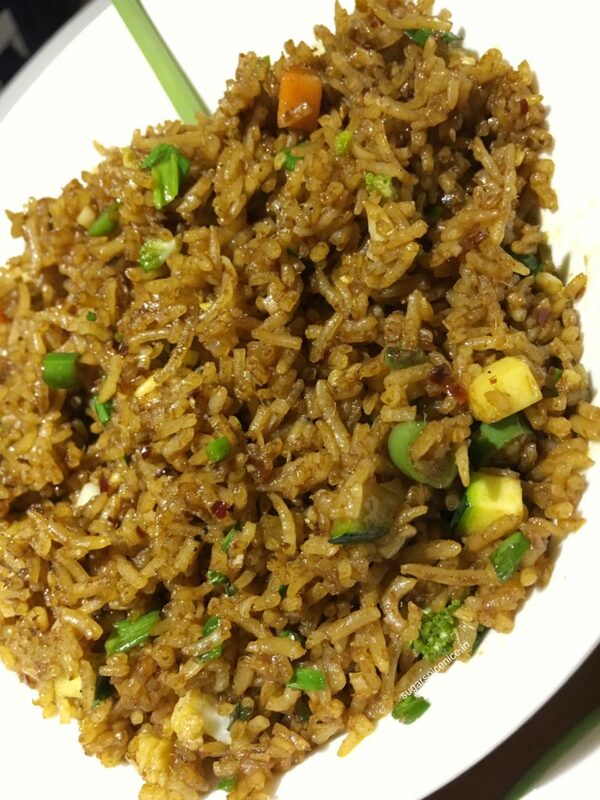 The fried rice itself had an amazing garlic dominated flavor and also had edamame beans which I absolutely love. 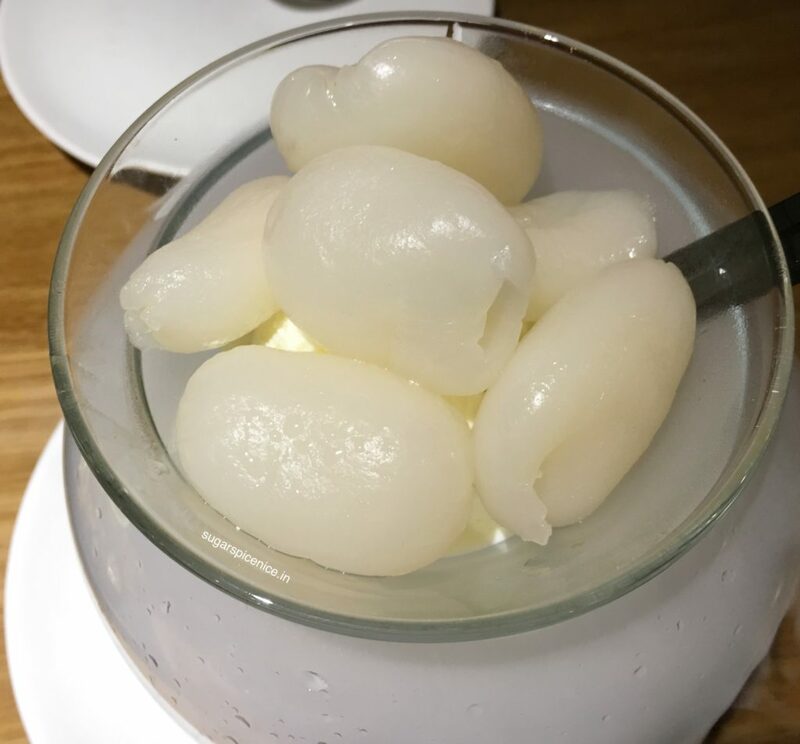 For dessert I tried POH’s sweet mess – which was literally a ball of yoghurt, thrown with force to look like the sweet mess that it does. 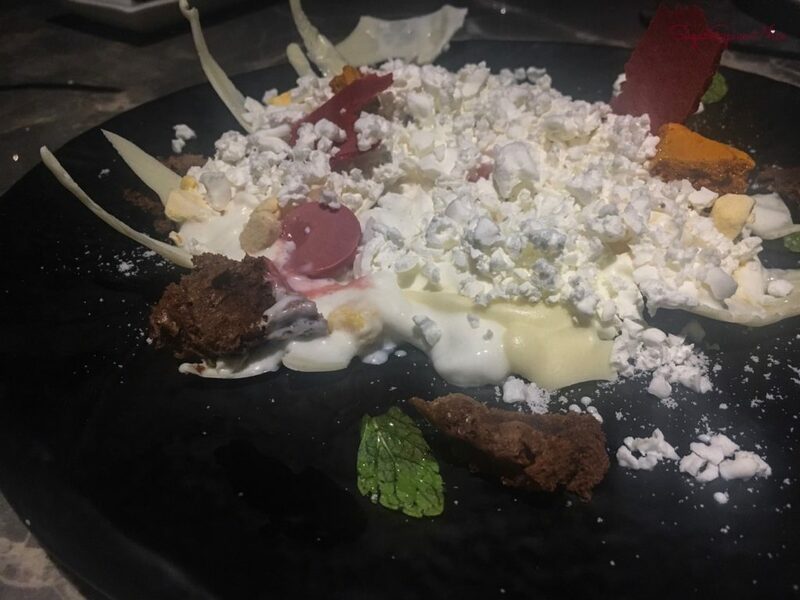 And this was essentially yoghurt varieties and all of them had a different feel because of the accompanying ingredients of this sweet mess. I also tried their Caramel and Chocolate piece which was so delicious. 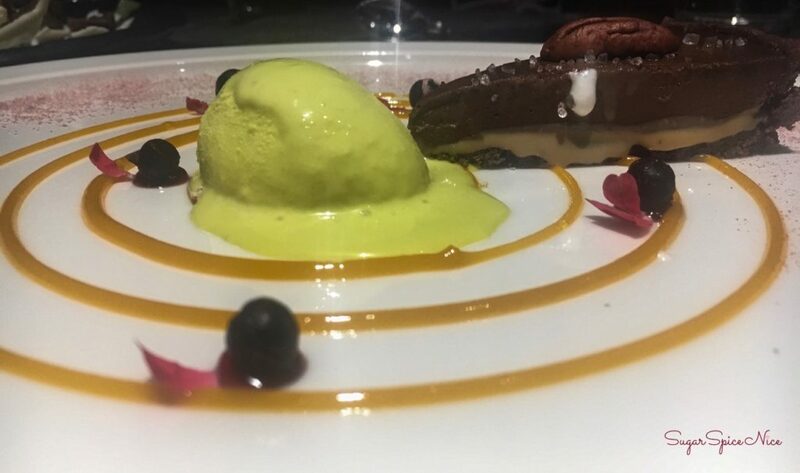 And this comes with some honey wasabi ice cream on the side. 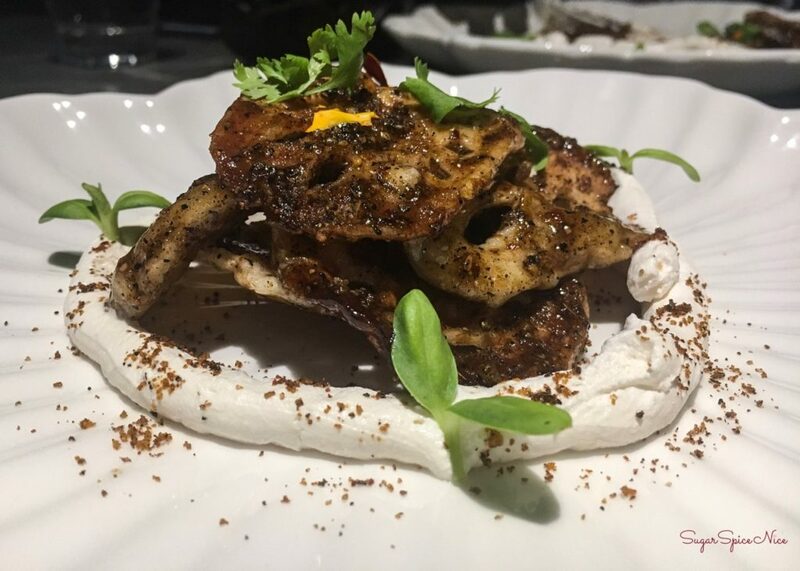 I had an amazing time at POH Mumbai and I highly recommend trying it out. If you’ve studied in H.R. 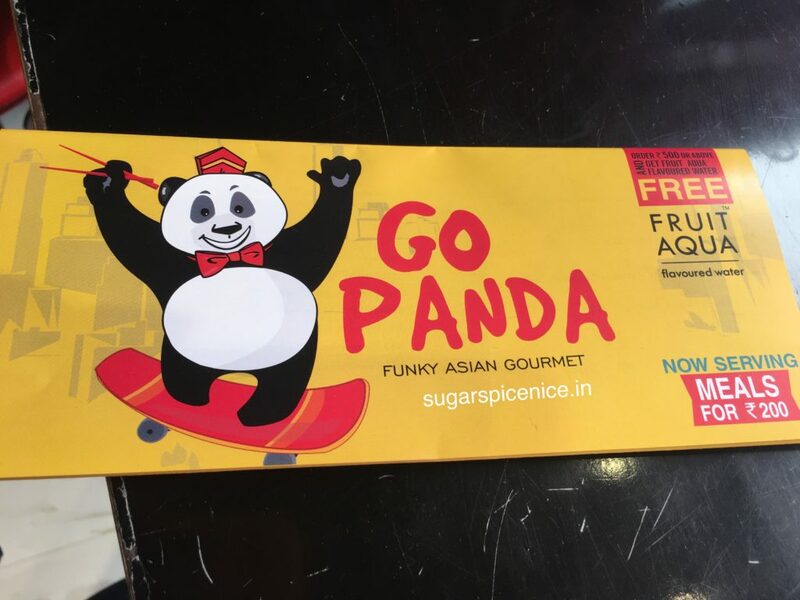 or Jai Hind College, you know the craze for Raju Chinese is real. 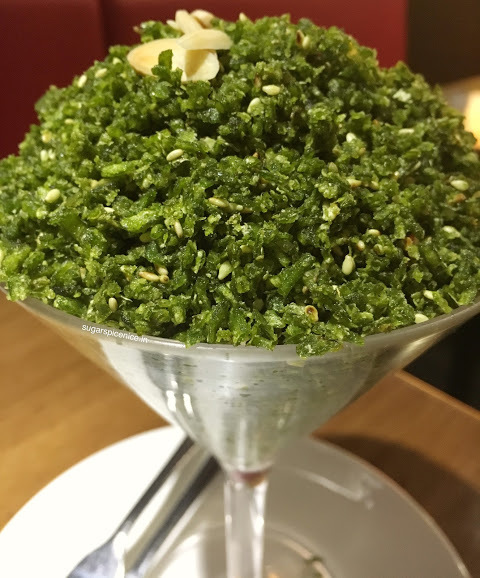 Want to know what I ate on my last visit to Raju Chinese? Watch this! So that was Raju Chinese. Definitely visit the place if you haven’t already! 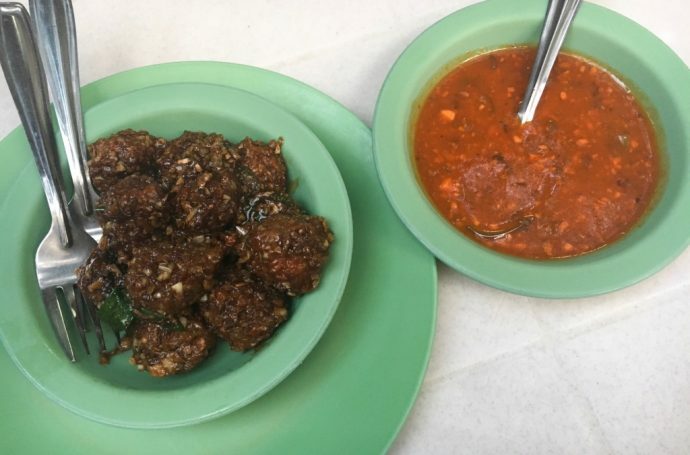 I am not the biggest fan of just dry manchurian, but the ones at Raju Chinese are a sure exception. Amazing flavor and a prominent taste of ginger and garlic. I can just eat these all by themselves! Spicy Schezwan Rice served with a little Manchurian Gravy, some schezwan sauce and fried noodles. 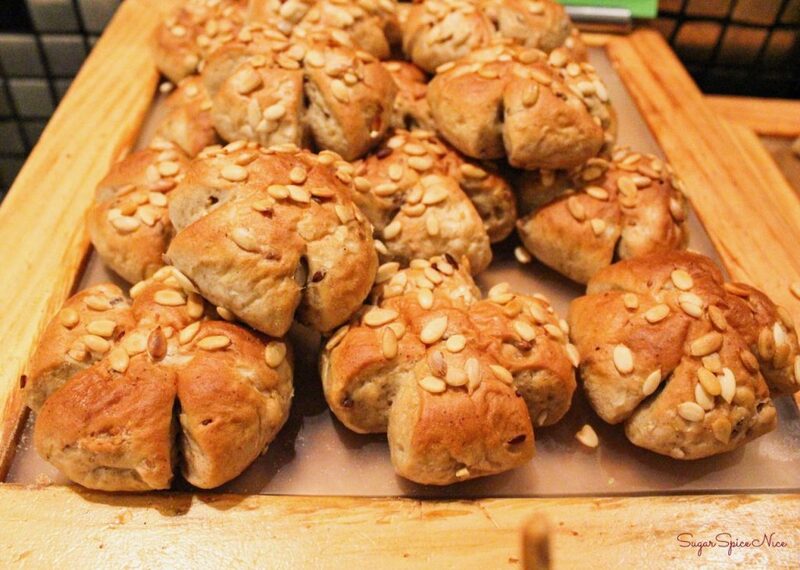 Delicious sauce, warm toasted bread and cheese – all in a roll! Definitely recommend this. You could eat anything from their menu, and I guarantee that it will be fresh and tasty. This place has maintained the same level of taste since I first started eating from here in 2004. At that time, Raju Chinese was located inside H.R. College in Churchgate and was also known as H.R. Chinese. My friends and I would specially go over to H.R. just to grab some of this delicious stuff! And the things we had to do to get inside the college (because we weren’t students of H.R.) would all feel worth it, once we had the first bite of some of this stuff. 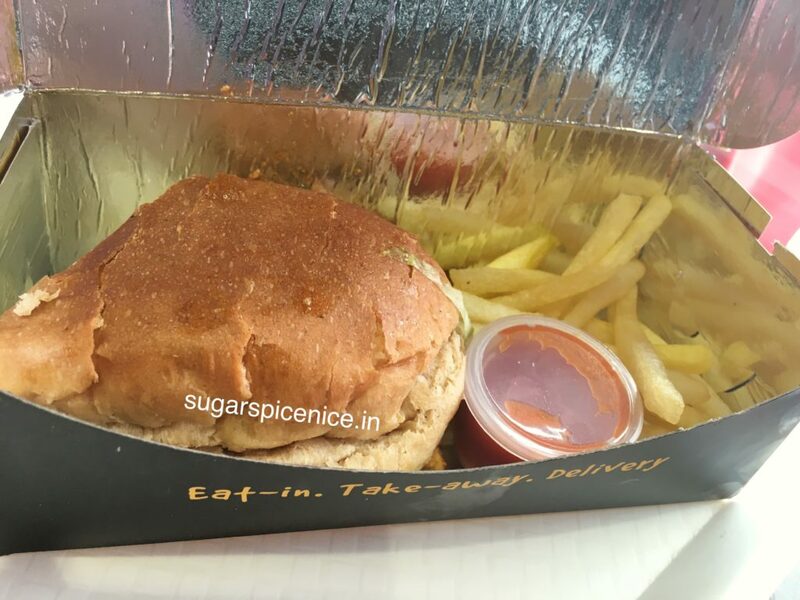 Now the place has moved pretty close to Marine Lines and Nirmala Niketan College. 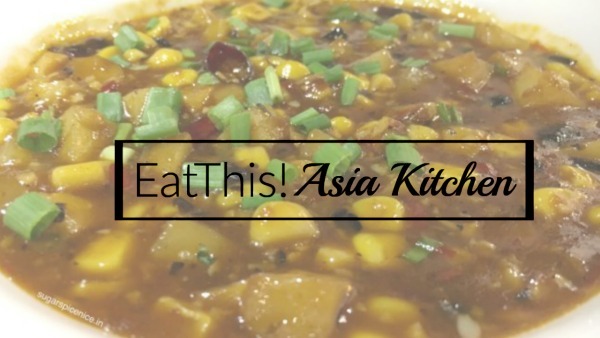 It’s all vegetarian and arguably one of the best street Chinese food in Mumbai. I hope you enjoyed reading this post and watching the video. 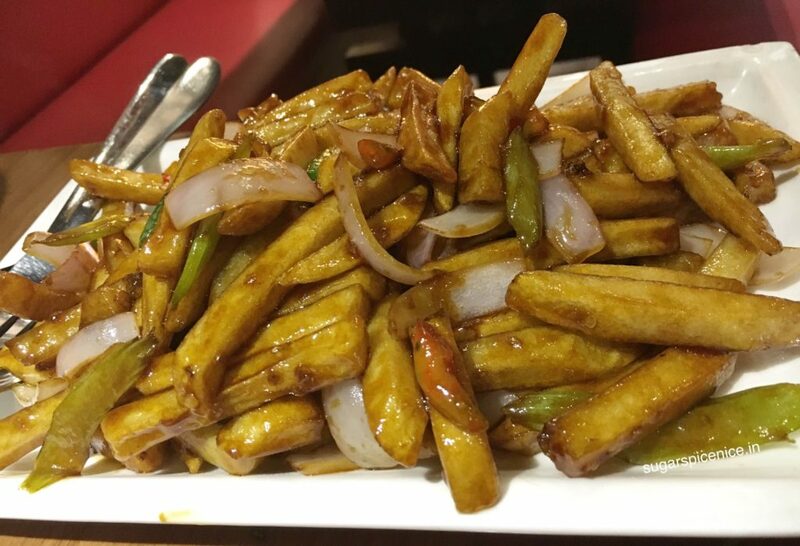 Do visit Raju Chinese and let me know how you liked it. 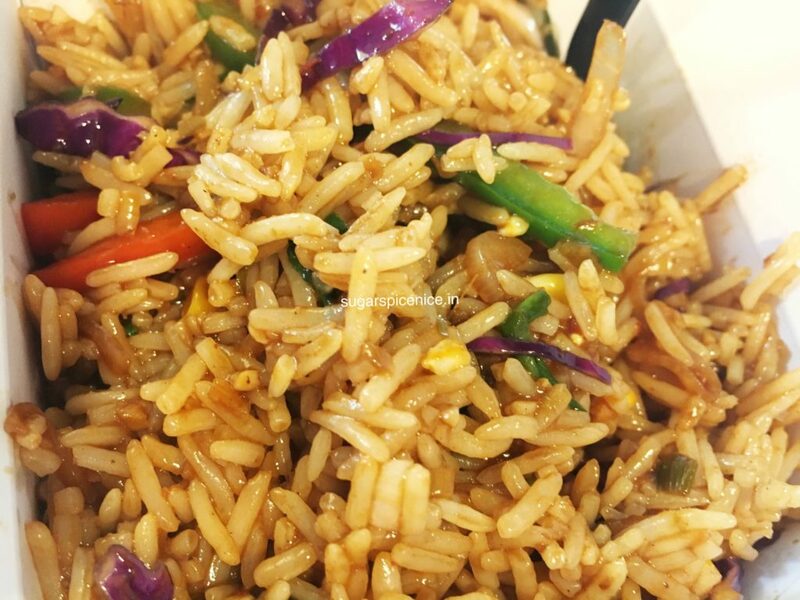 China Express is all about a good wok, with loads of fresh veggies and some great selection of sauces to add in. Check out this video to get an idea! Subscribe to my YouTube here! 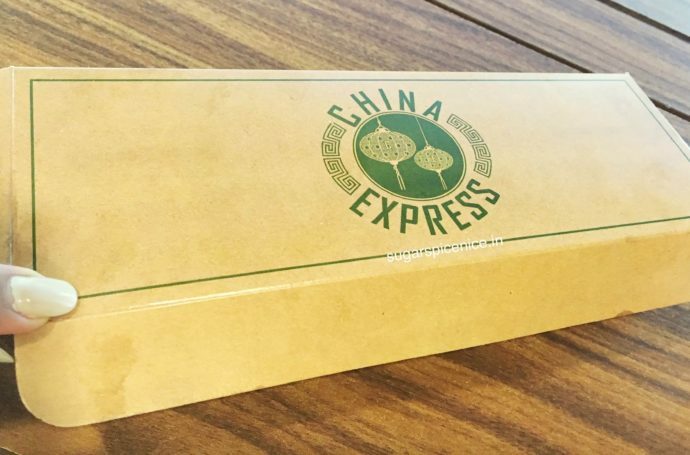 Recently tried out China Express on a crazy rainy noon! It has a window like area where one can stand and eat and view everything outside! And it also has a couple of tables and chairs outside. 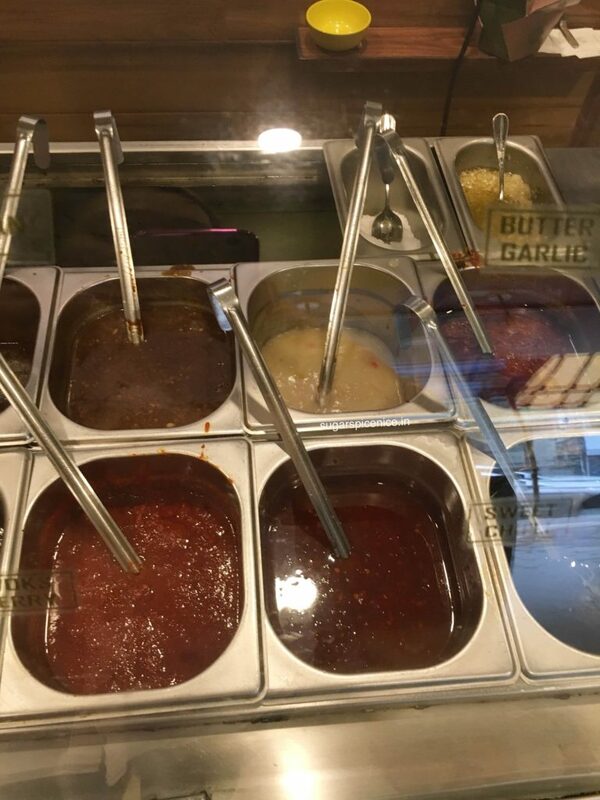 I tried their wok – mixed way too many sauces. Basically the person who was making my wok gave me a mix of hunan, Schezwan initially and then asked me to taste some. I found it slightly dry so he added some butter garlic sauce to it. And then it was alright. 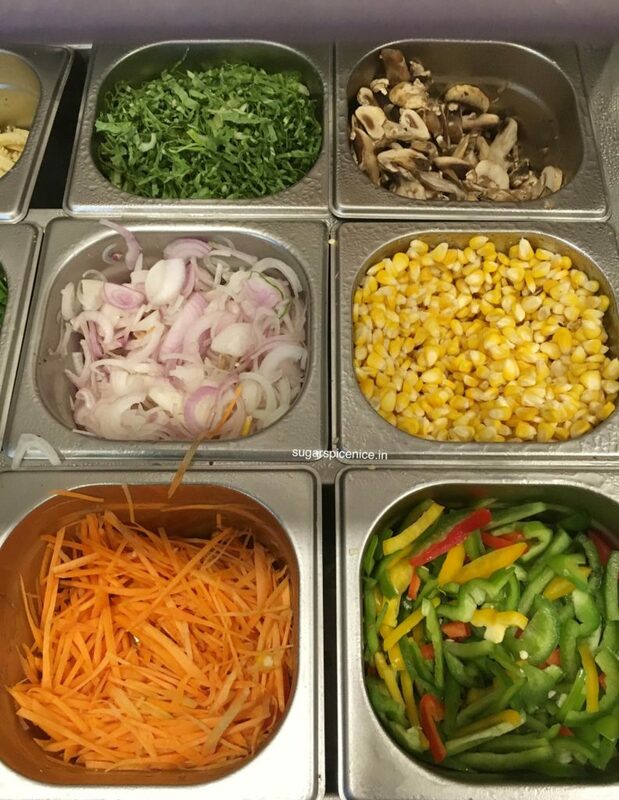 Before this, he handed me a bowl to choose the veggies I would like added – and there was all kinds of peppers, spinach, tomatoes, carrots, corn, cabbages etc. 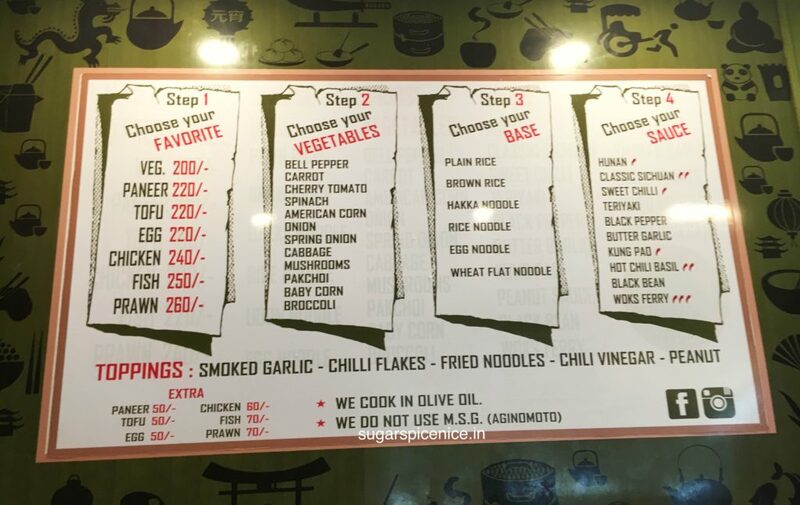 And you can choose any number of veggies you like. 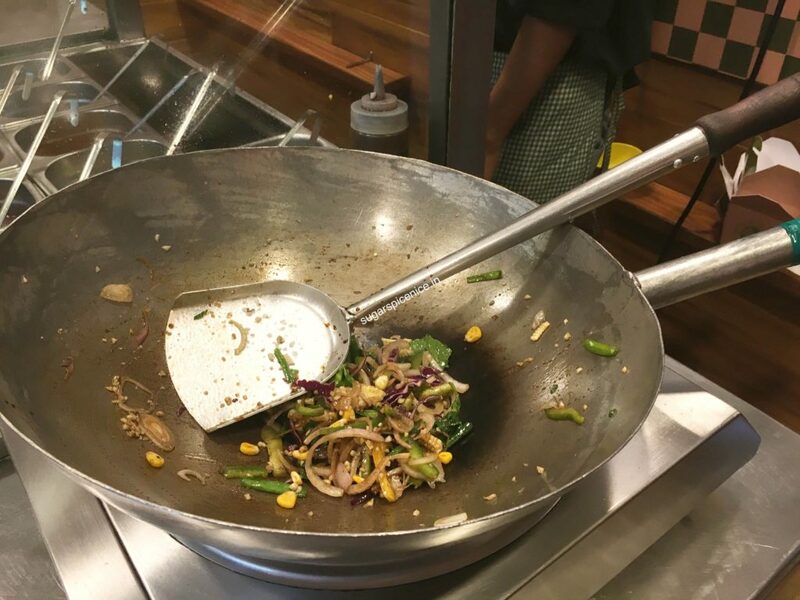 The wok tasted great – wasn’t over spicy or oily. I like that they explicitly mention that they don’t use aginomoto and cook in olive oil. 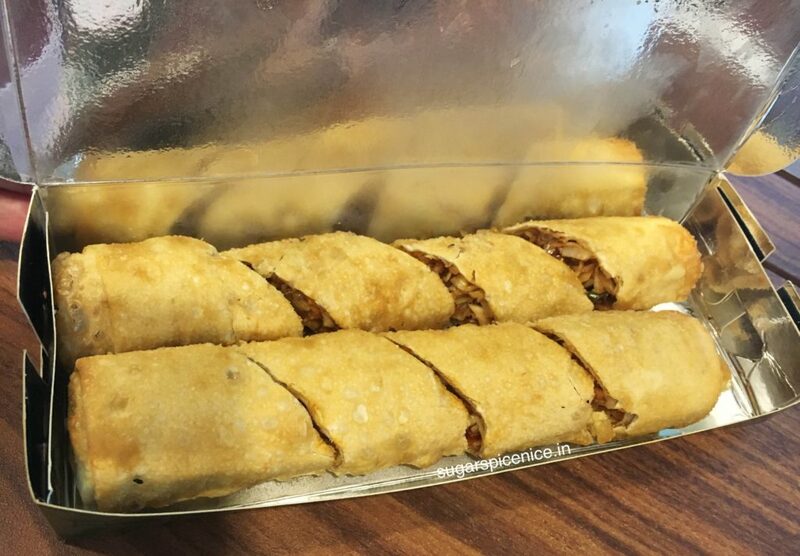 I also tried their spring rolls – they took a while to come because they were made on the spot. The outer covering was a tad bit thick but the veggies inside were delicious. 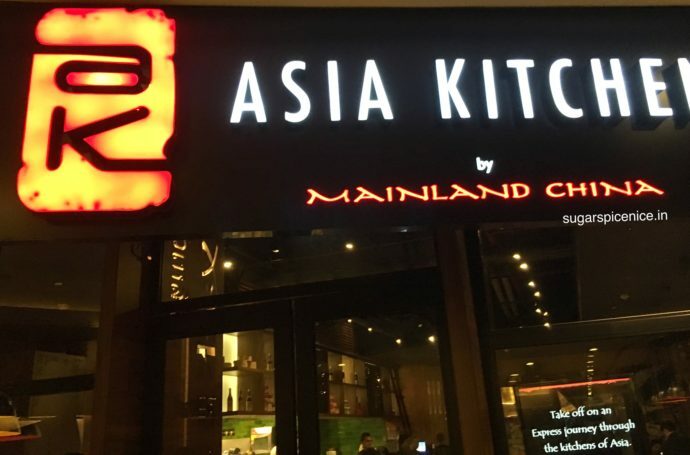 Recommend this place if you’re around for a quick bite. I was recently invited to check out this place. 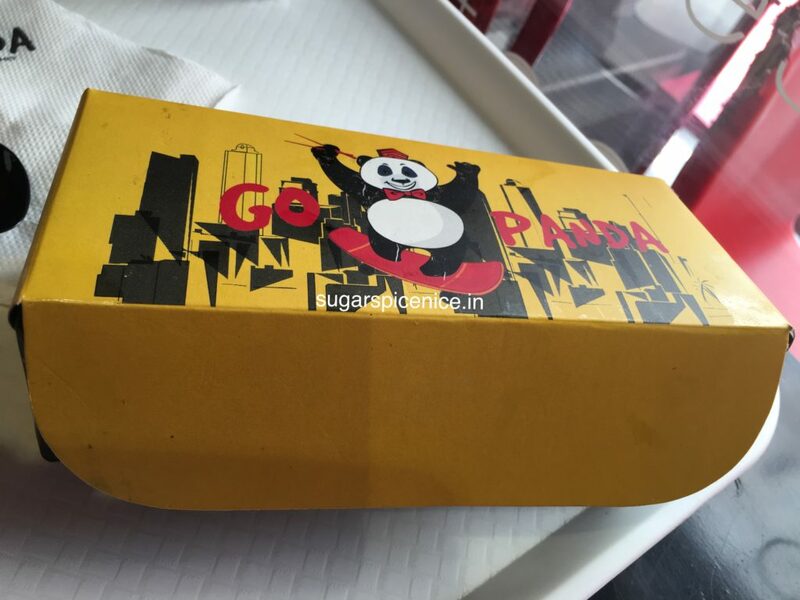 To be honest Go Panda has been on my wishlist for a while and also recommended to me by so many fellow foodies. I was so happy with everything I ate here and cannot wait to be back for another meal! 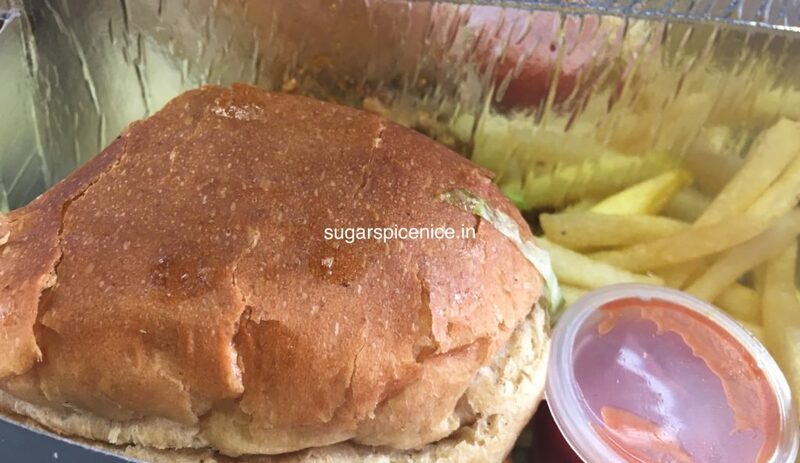 I started with the Paneer Sloppy Joe. When I read the description of the sloppy Joe, it mentioned that it was a sandwich and I was like – a Chinese sandwich?!! But when I took the first bite I shut up for good! 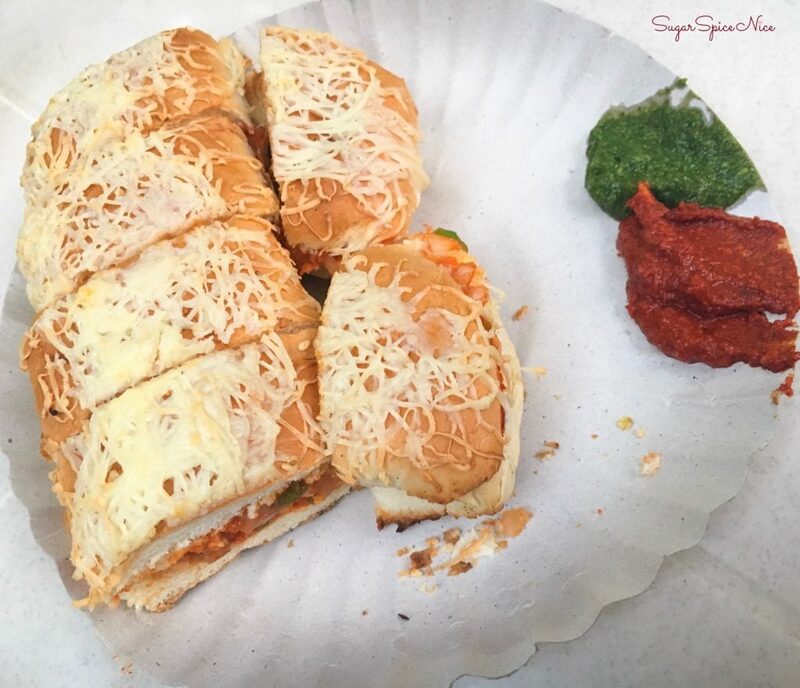 Yummy paneer with probably the best kind of Chinese seasoning and loads of cheese in a sandwich. 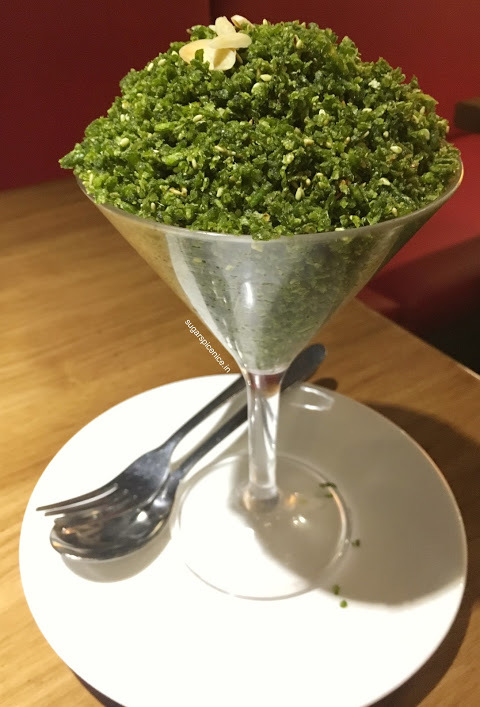 And it’s served with some fries on the side. Truly one of the best sandwiches I have ever eaten. Then I tried the Burmese Khao Suey. 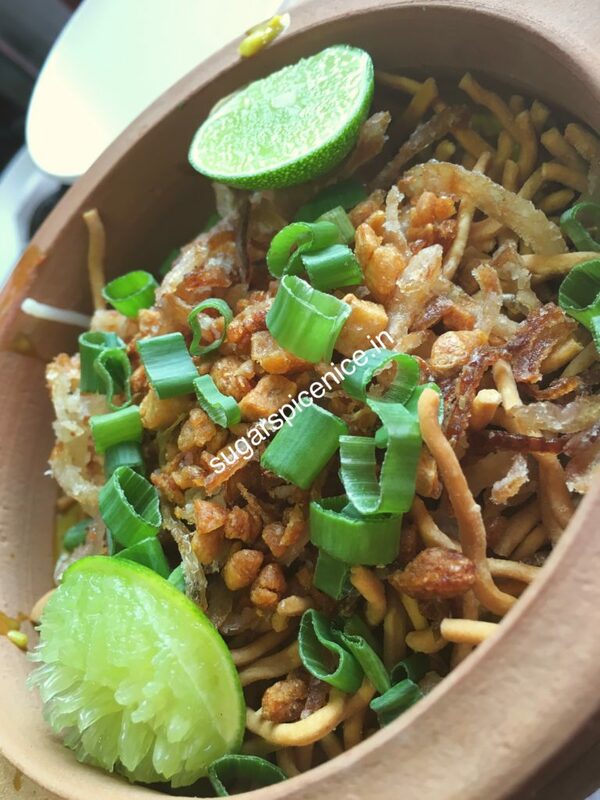 Really tasty – the noodles were just the right amount of crunchy and great coconut flavor. 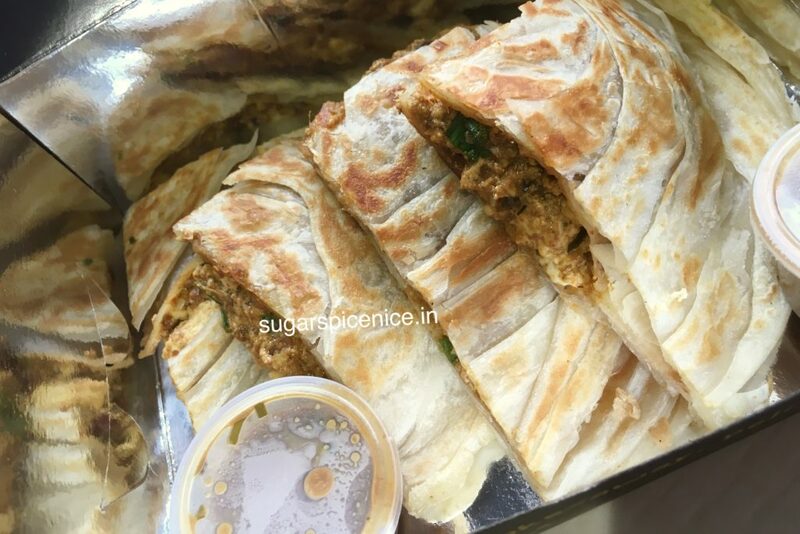 After that I tried something called the Singaporean Baida Roti with some paneer stuffing in it. Exceptional is an understatement. 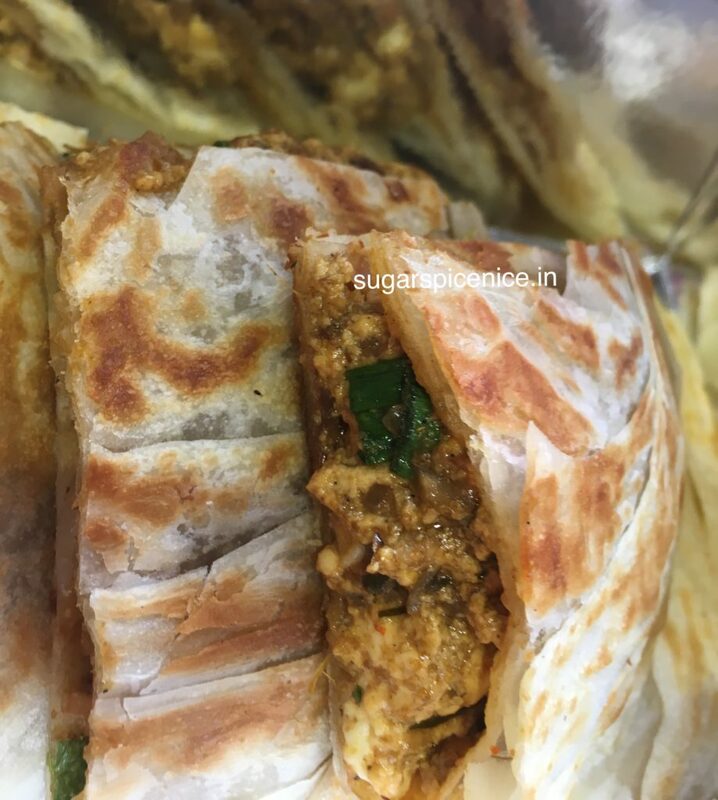 This paneer stuffing was slightly different than the sloppy Joe one but yet so tasty. 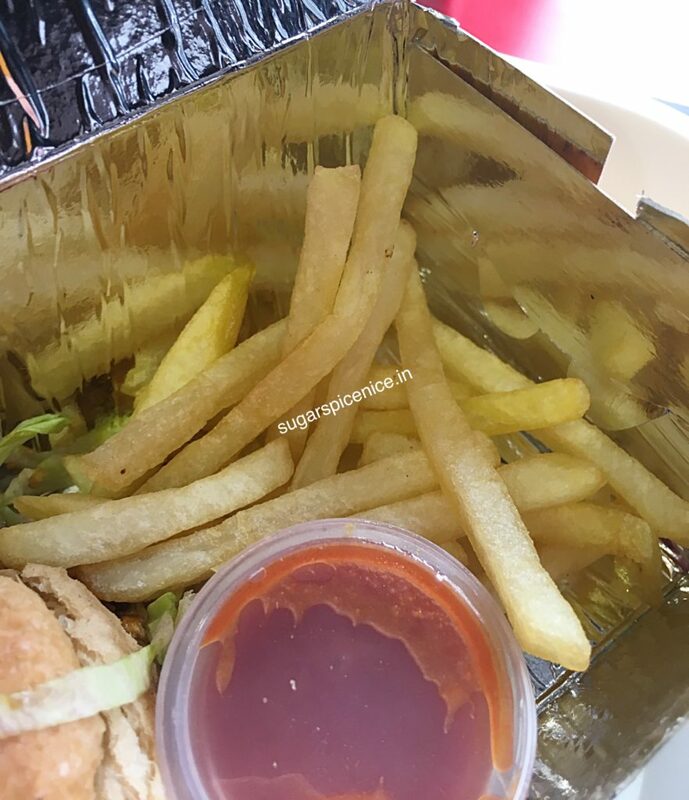 It is served with a Malaysian sauce / dip on the side. 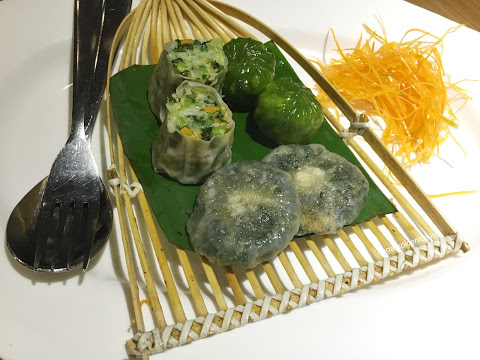 And then I tried the Asian noodles croquet – similar stuffing like a spring roll but with some cheese. And the outer part is nice and crispy. 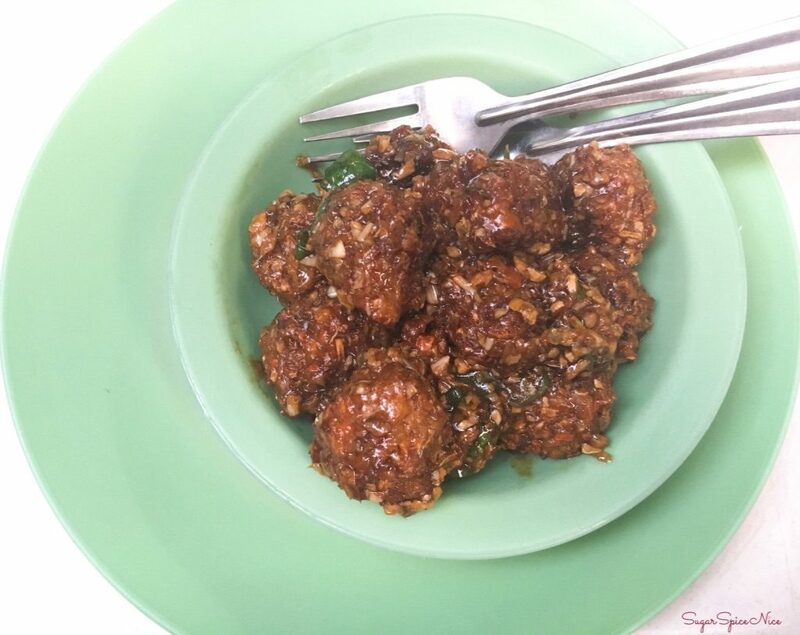 It is served with some sweet chilli sauce. Absolutely loved this. 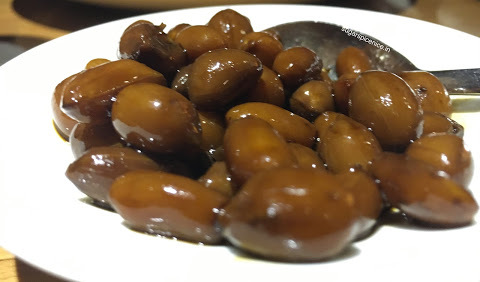 So tasty and affordable Chinese food has an all new meaning and definitely a destination for me.